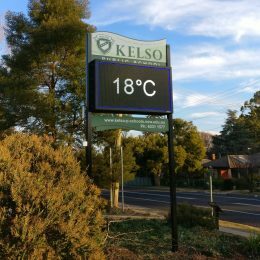 Communicate quickly by broadcasting up-to-the-minute messages and images without leaving the office. 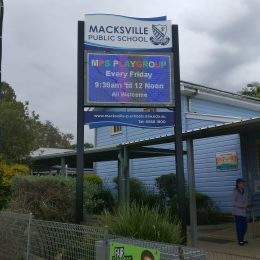 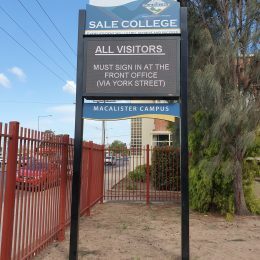 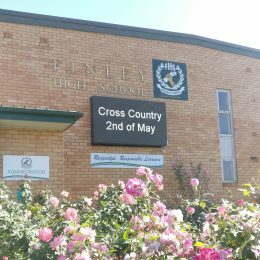 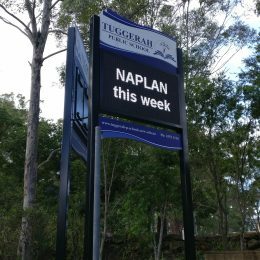 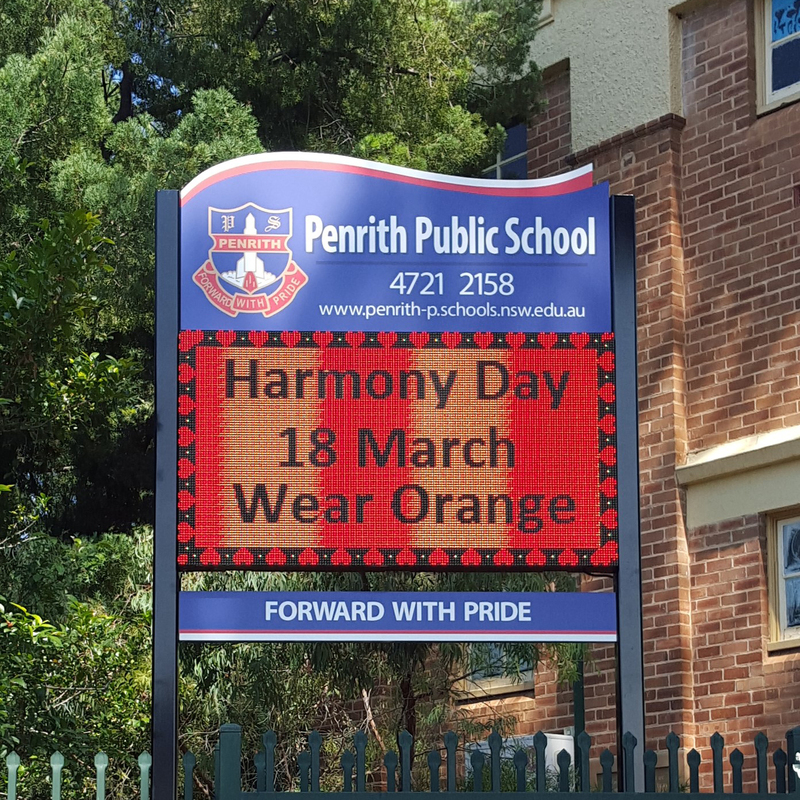 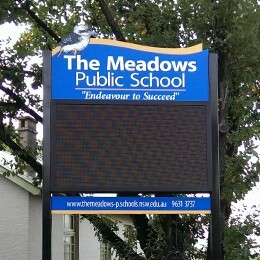 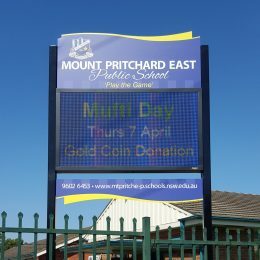 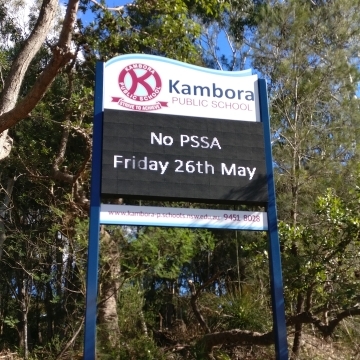 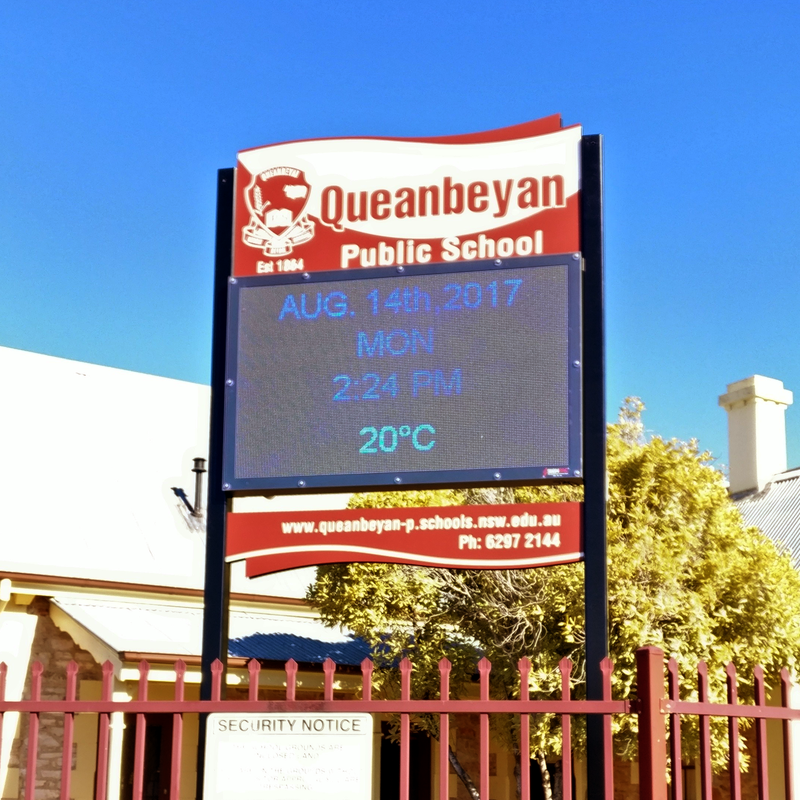 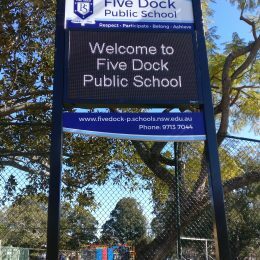 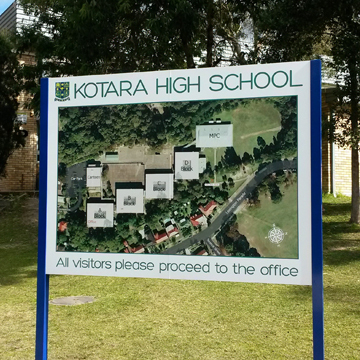 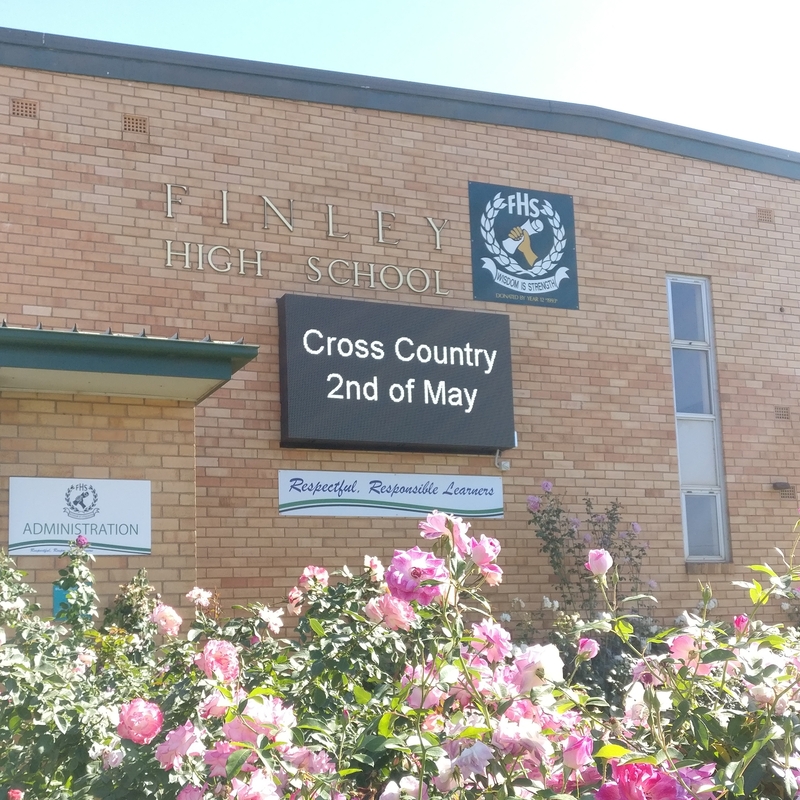 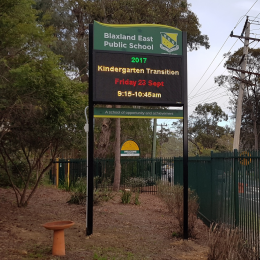 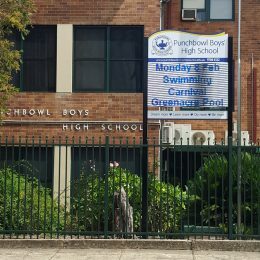 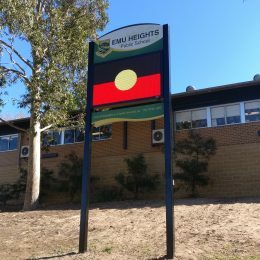 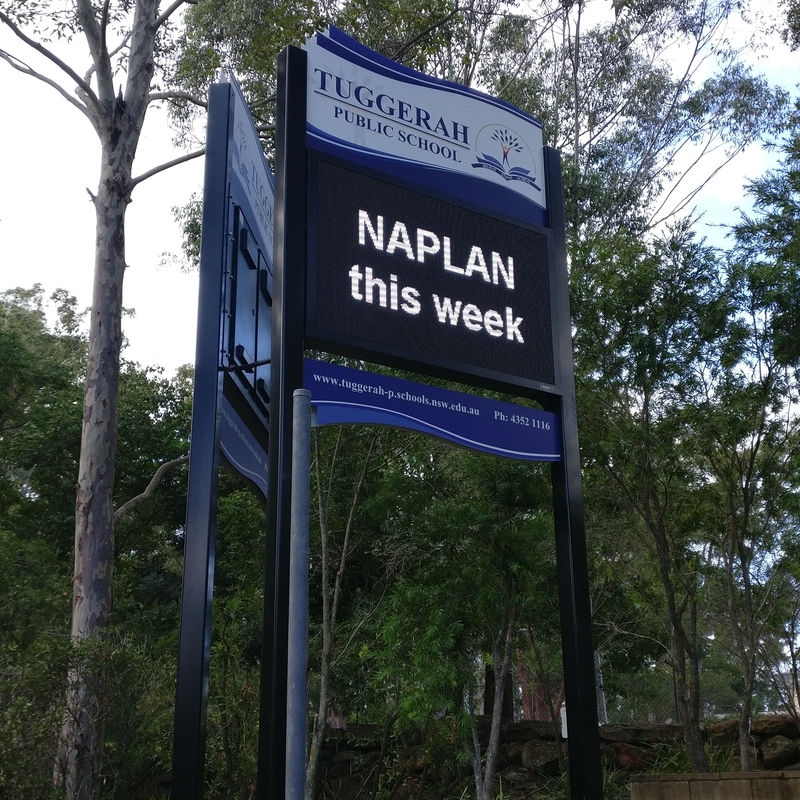 Digital signs replace the most popular and prominent traditional frame signs but are used more and more throughout school campuses. 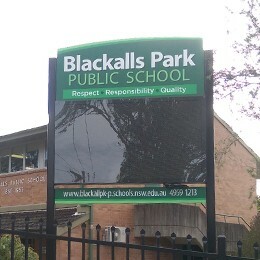 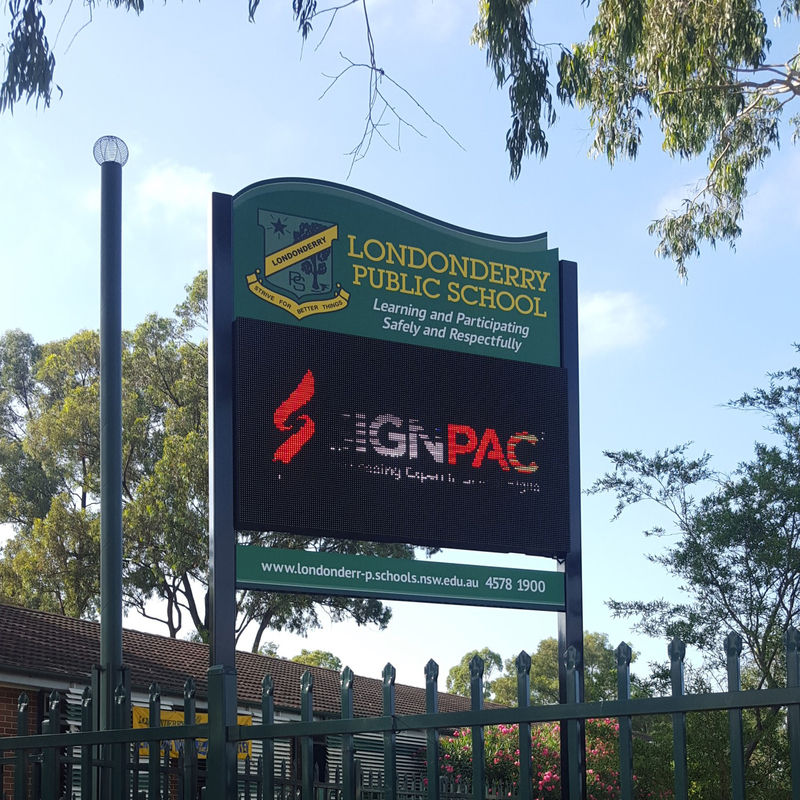 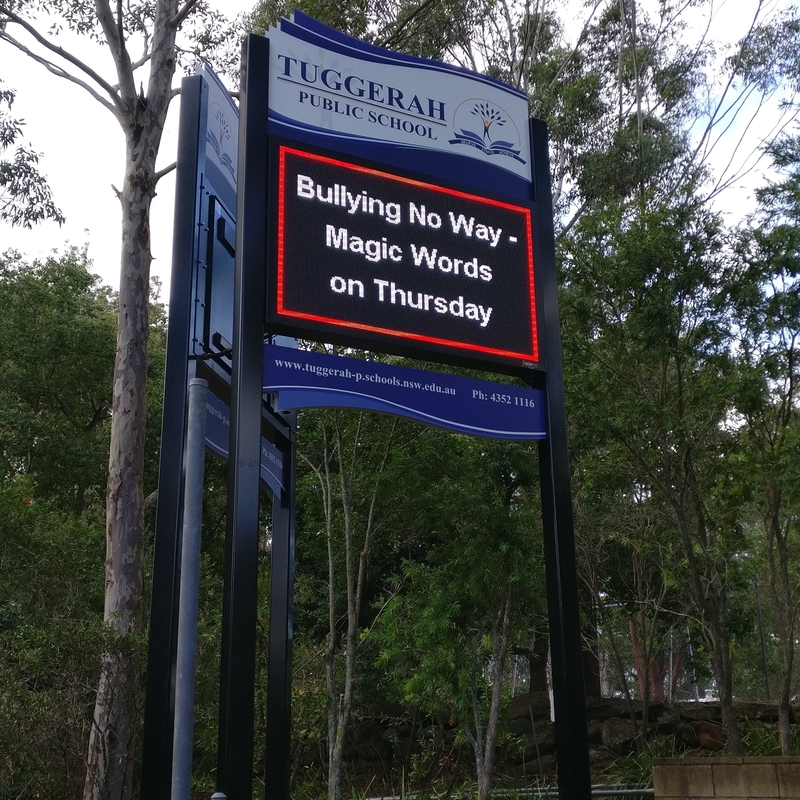 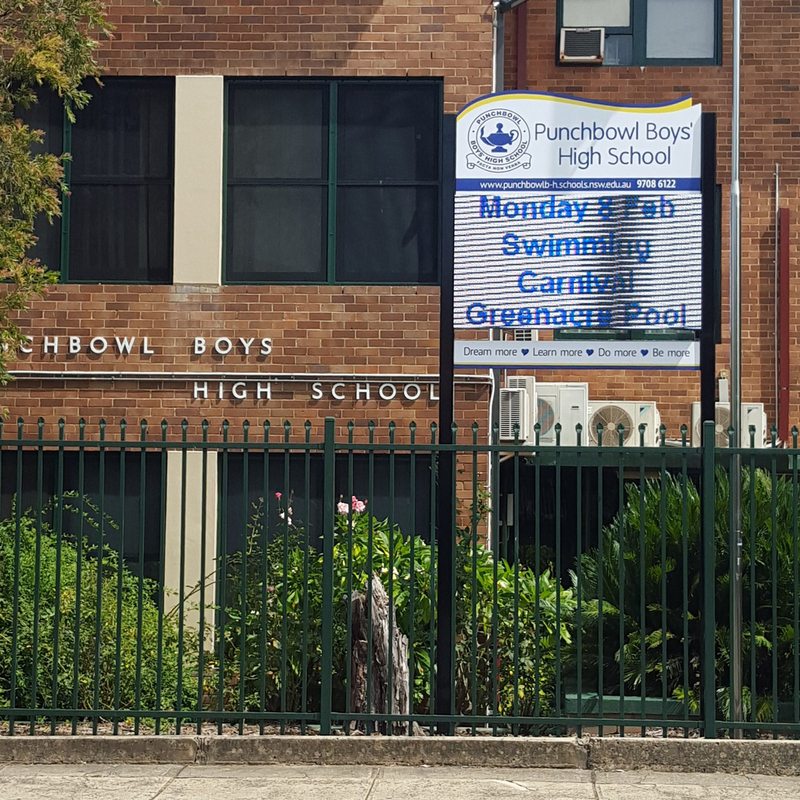 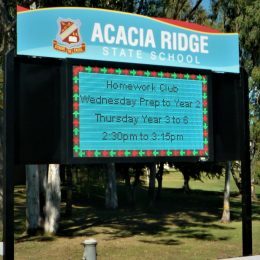 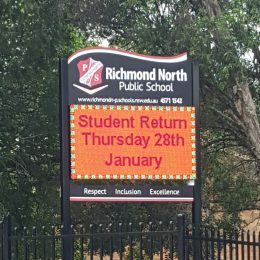 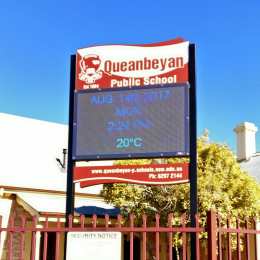 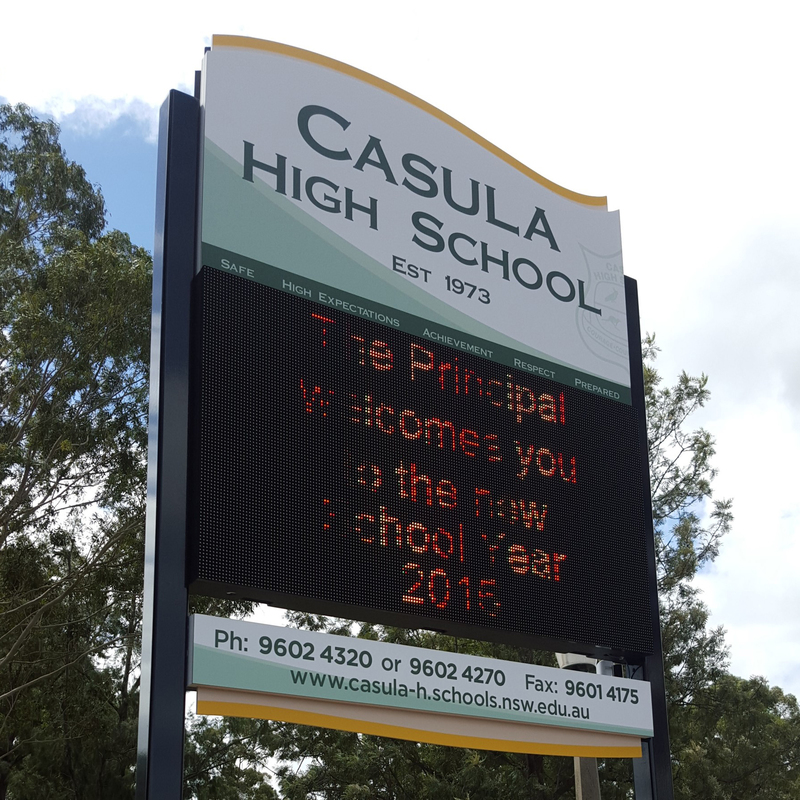 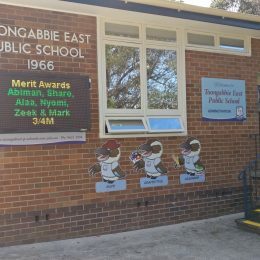 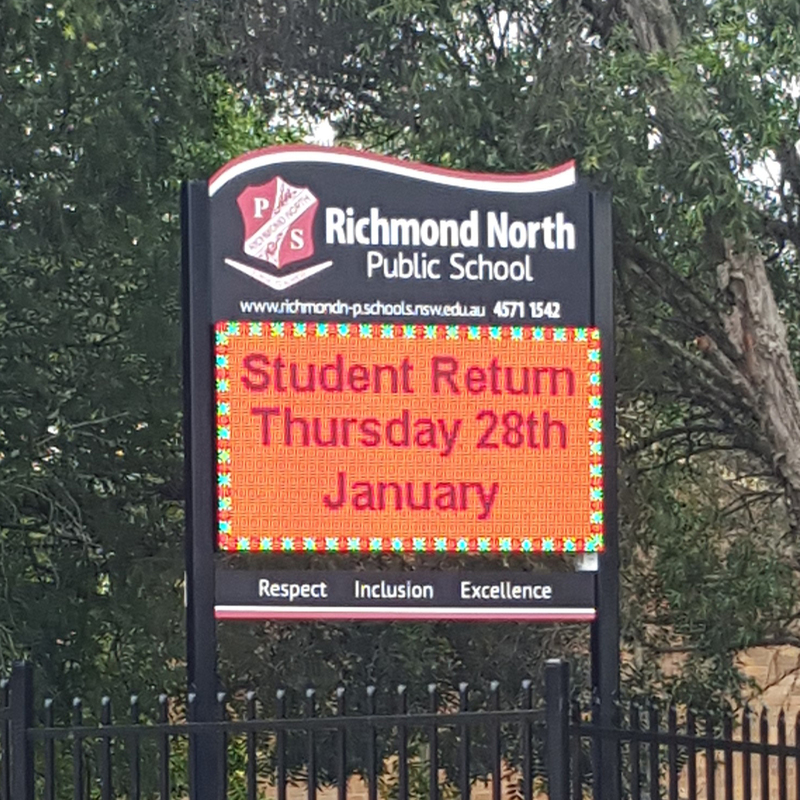 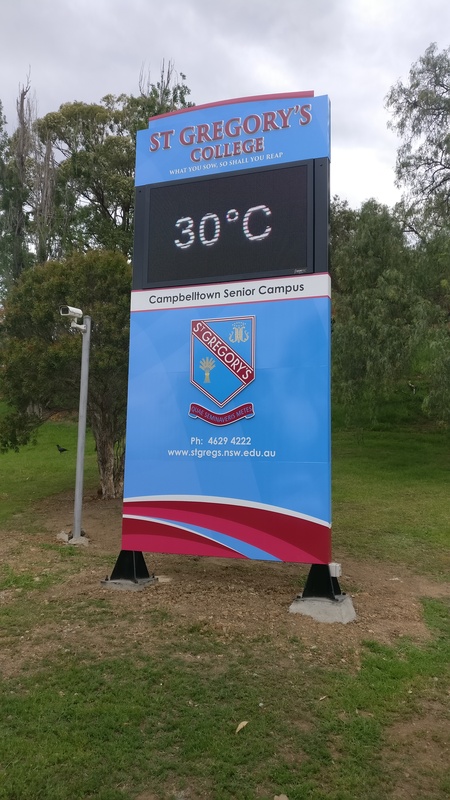 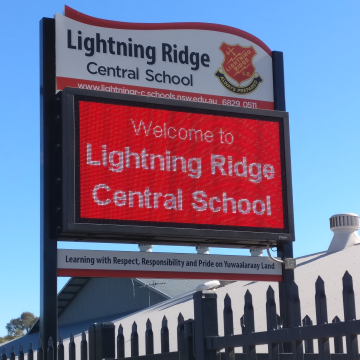 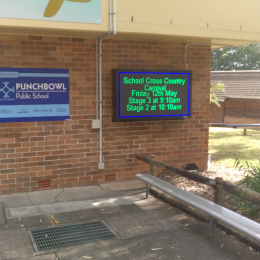 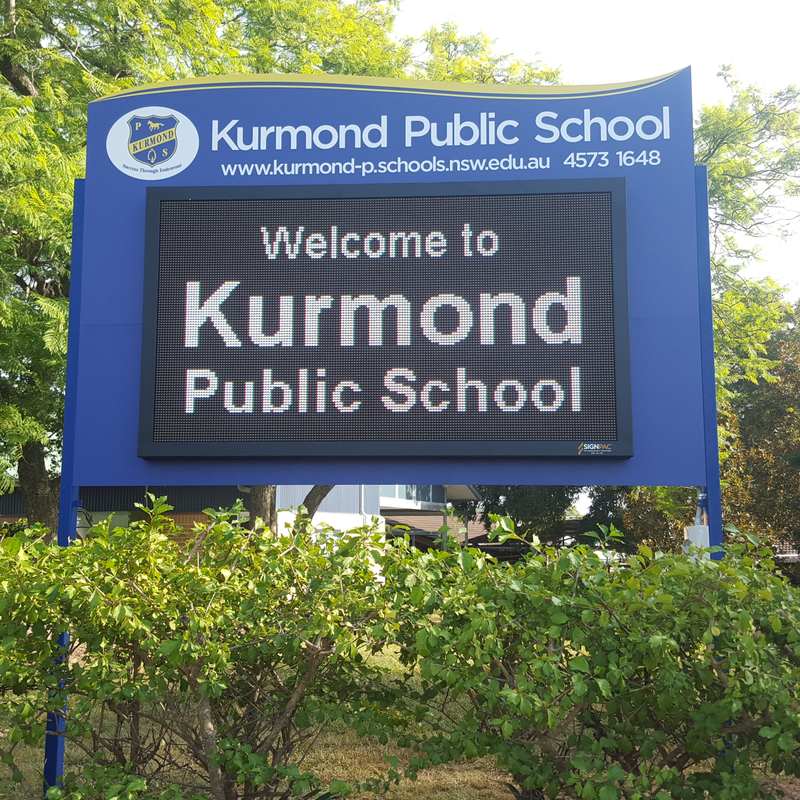 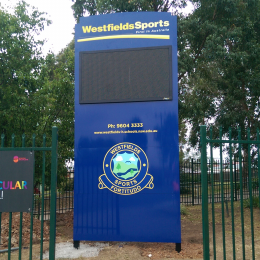 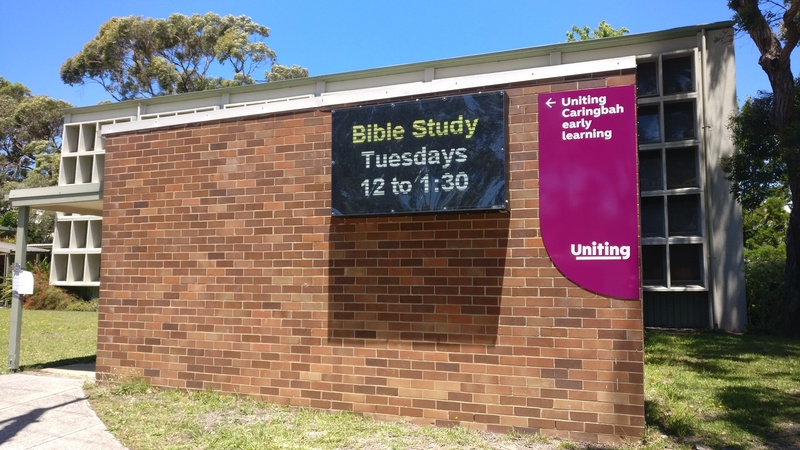 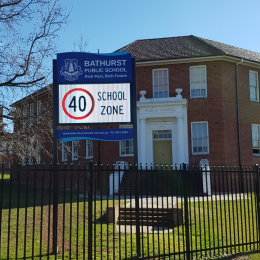 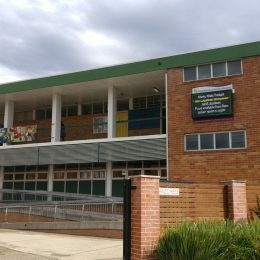 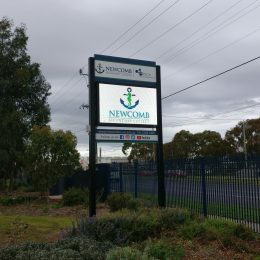 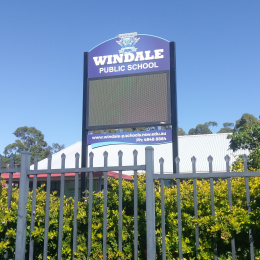 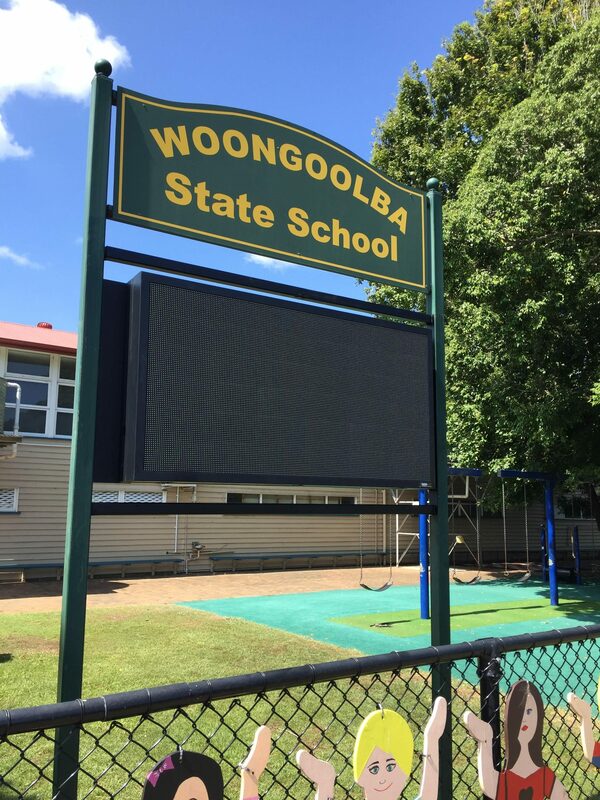 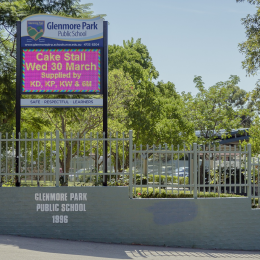 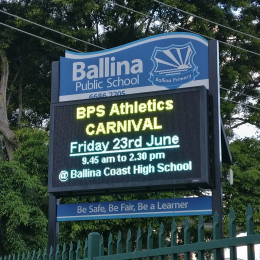 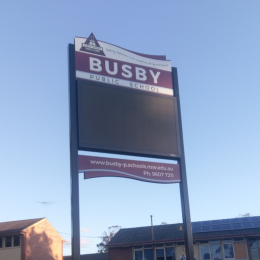 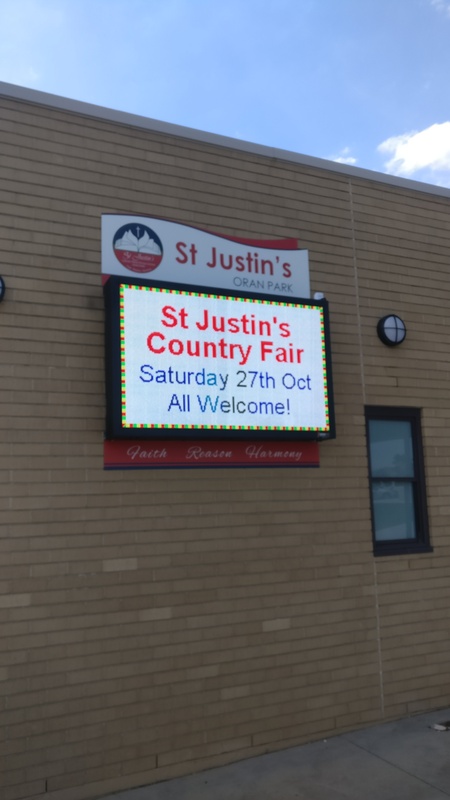 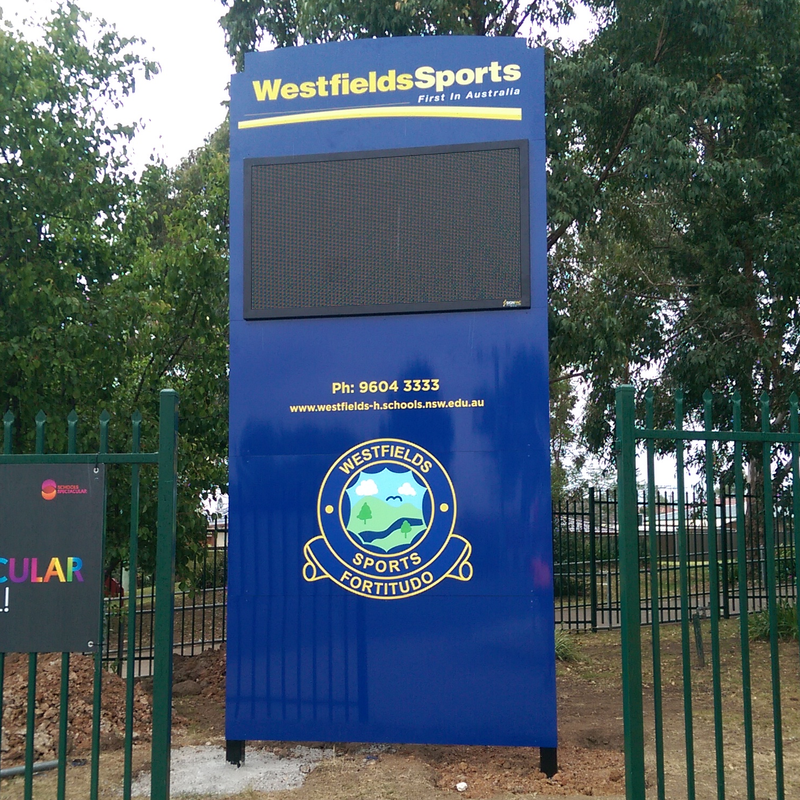 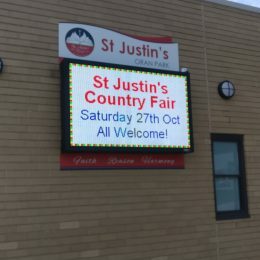 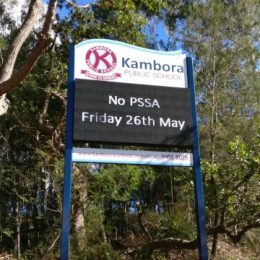 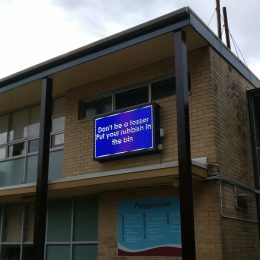 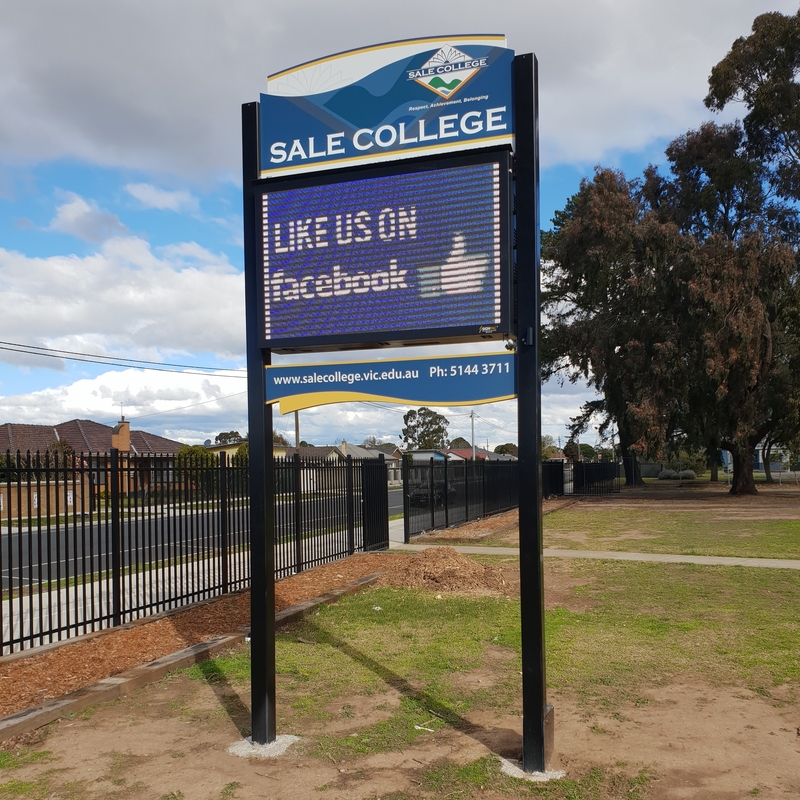 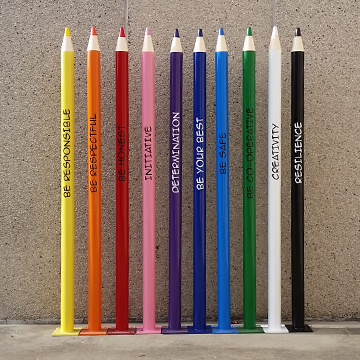 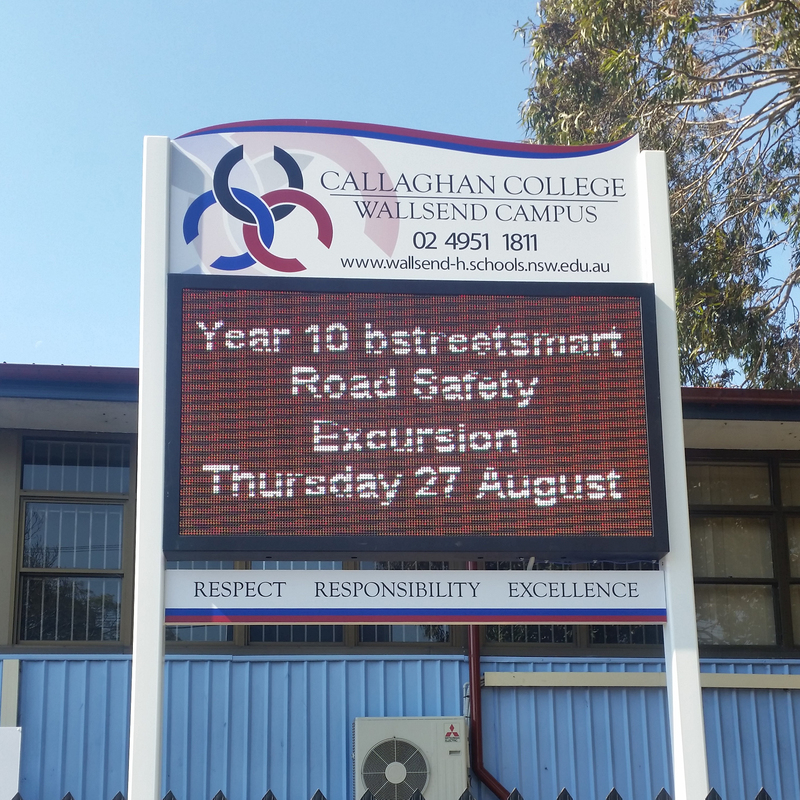 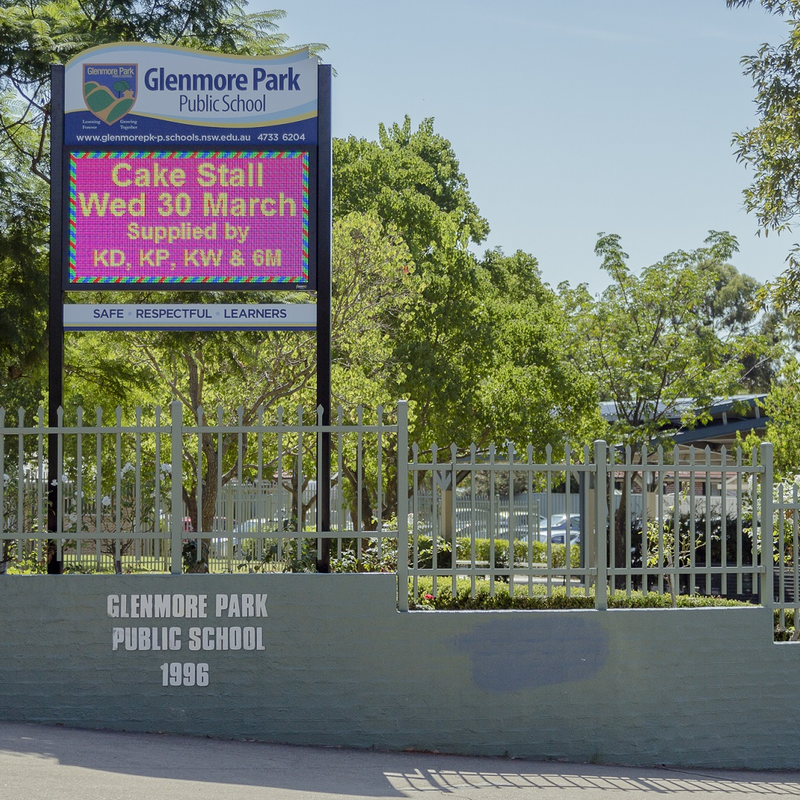 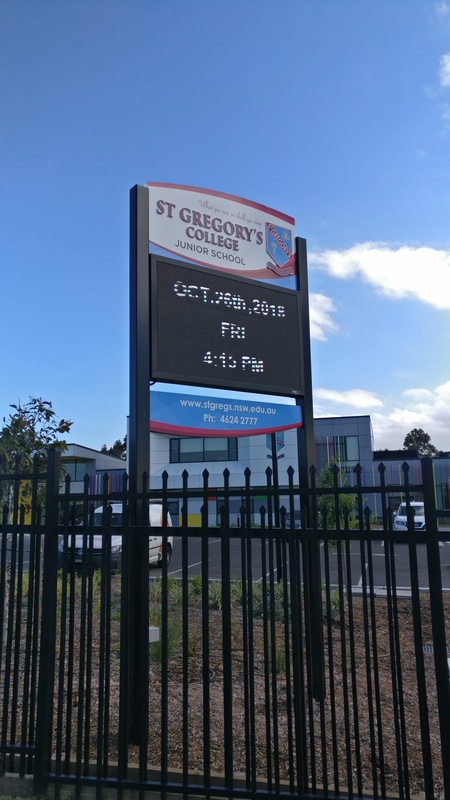 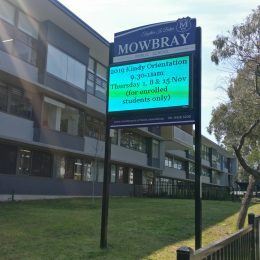 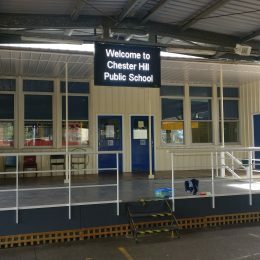 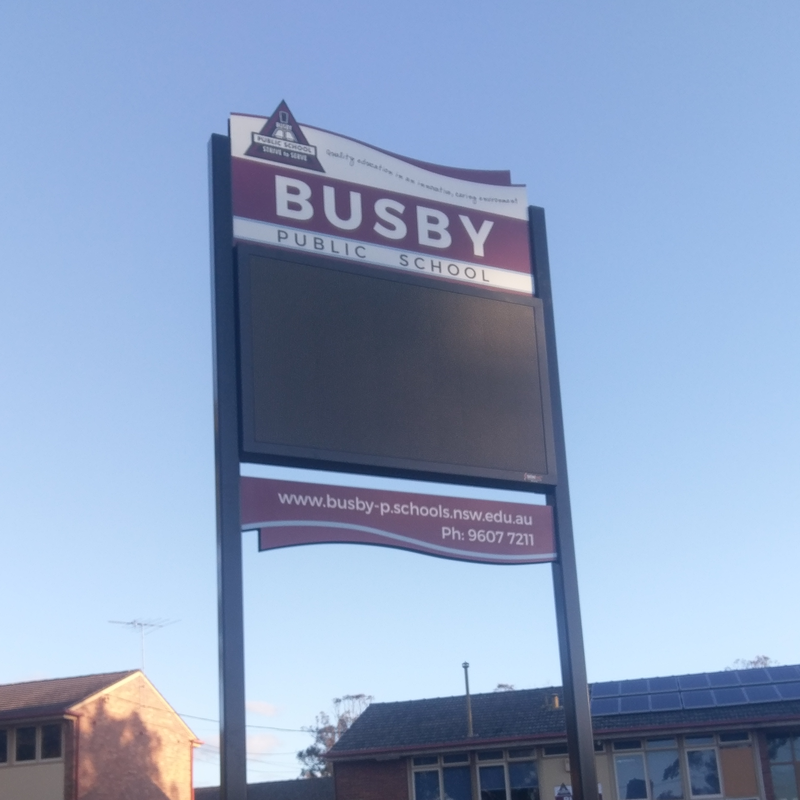 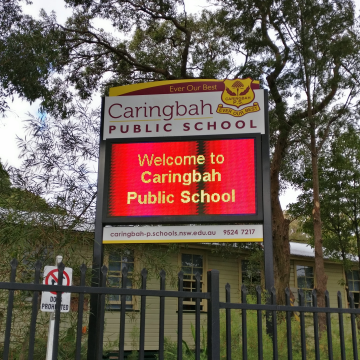 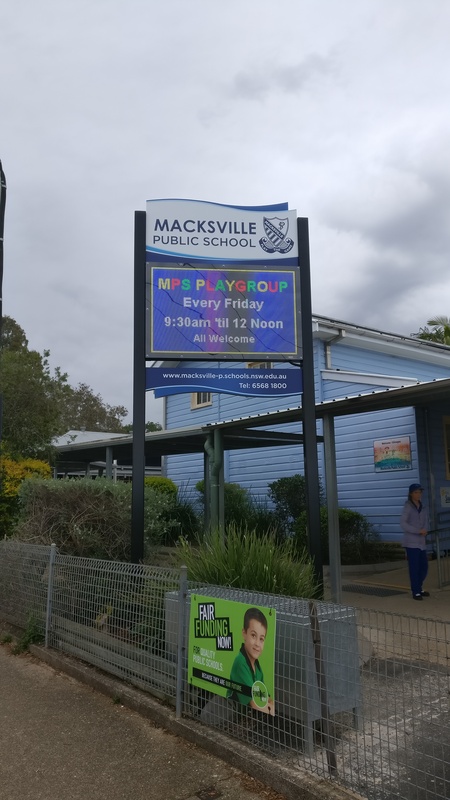 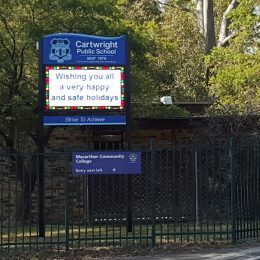 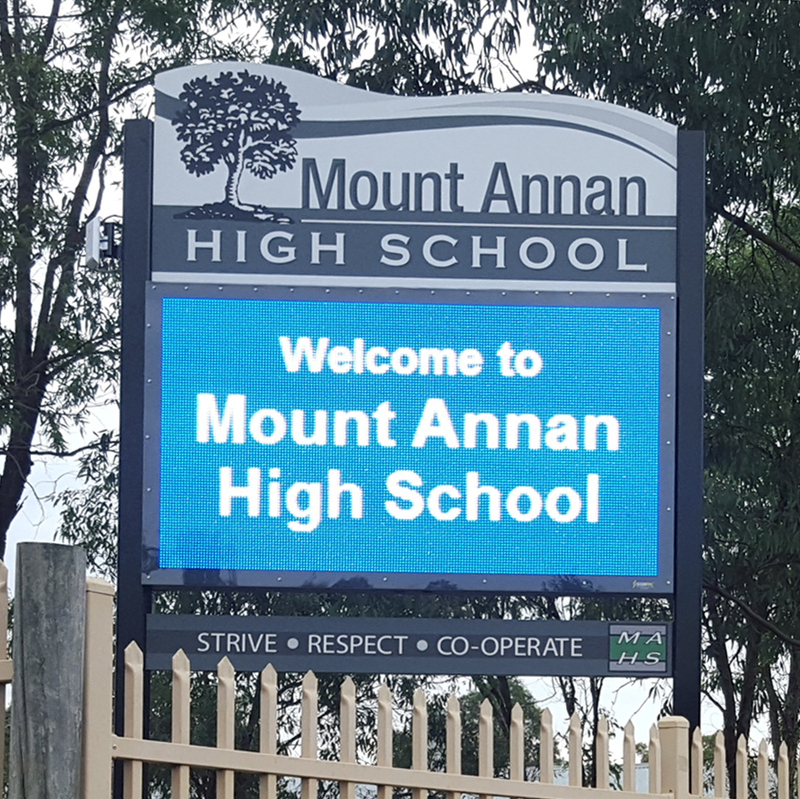 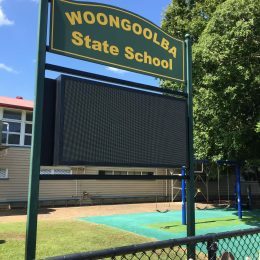 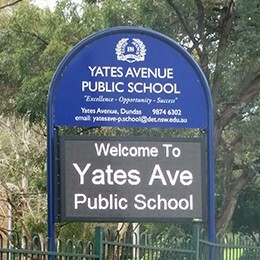 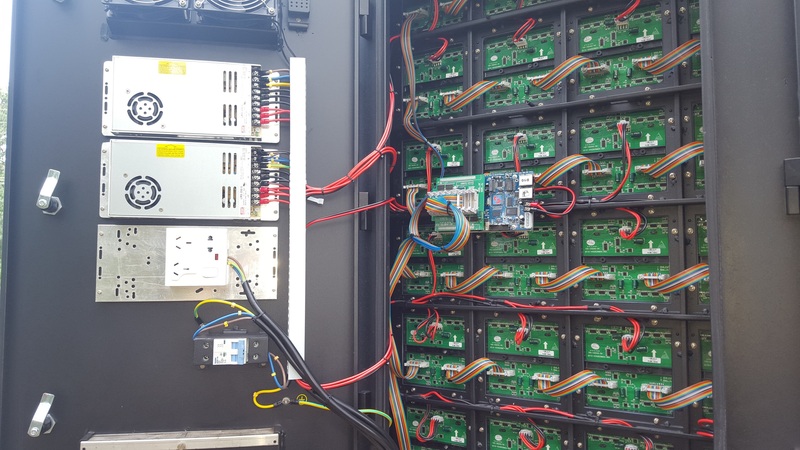 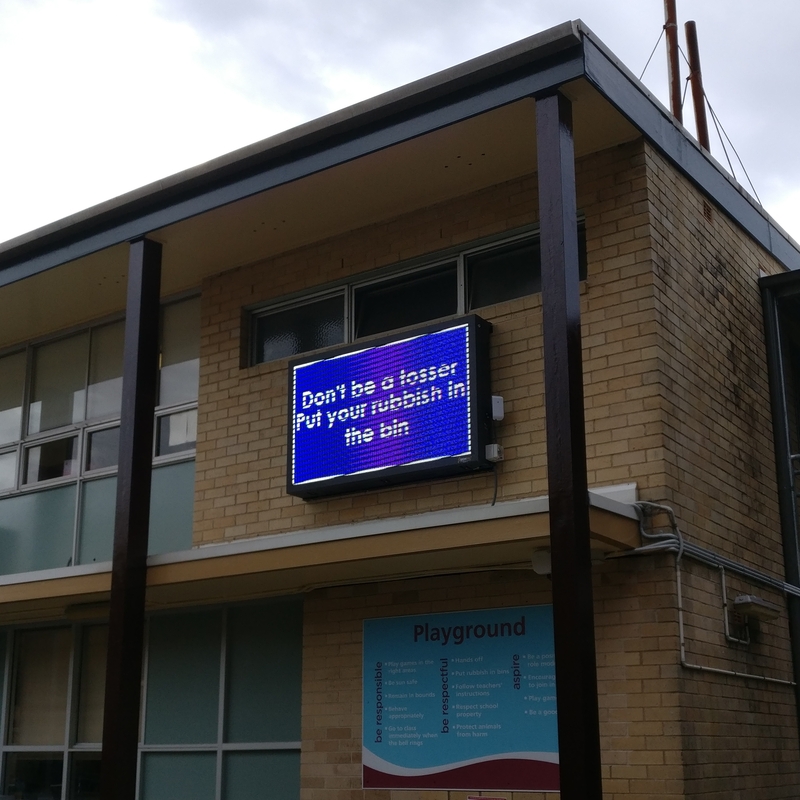 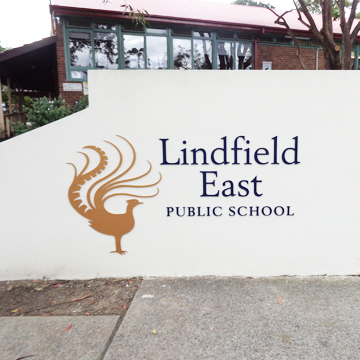 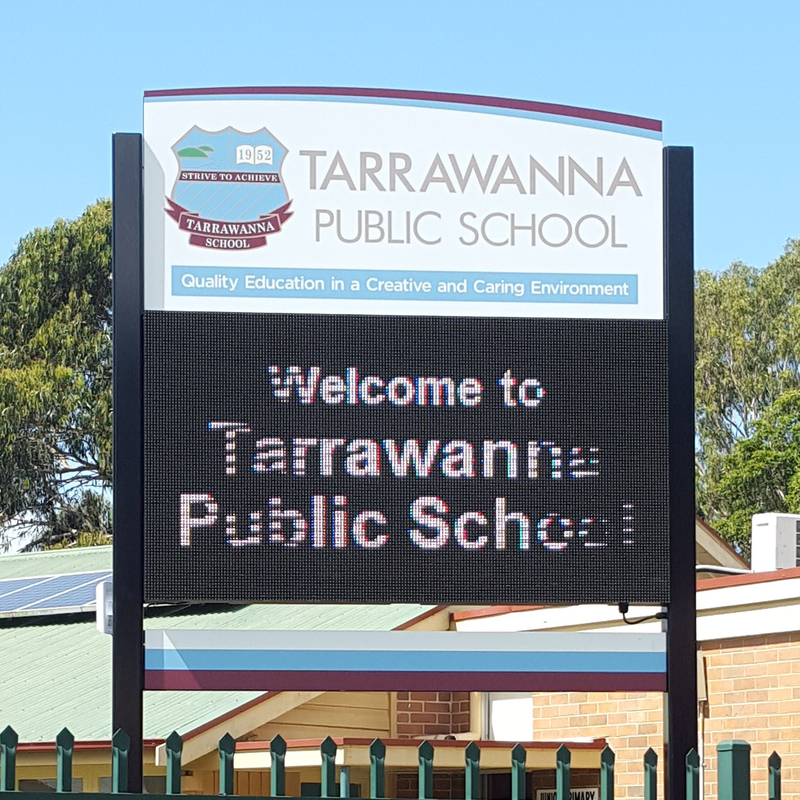 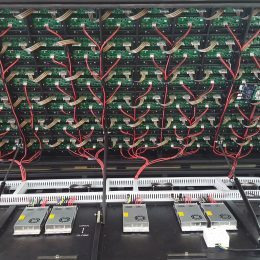 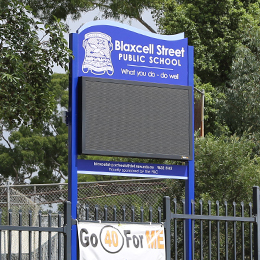 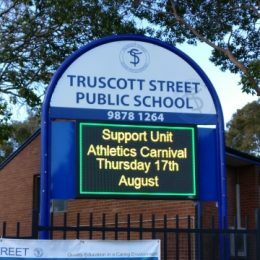 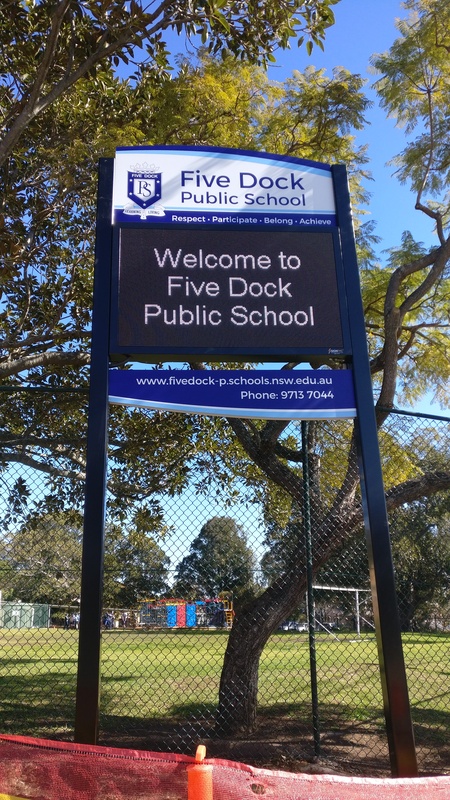 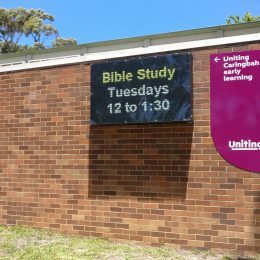 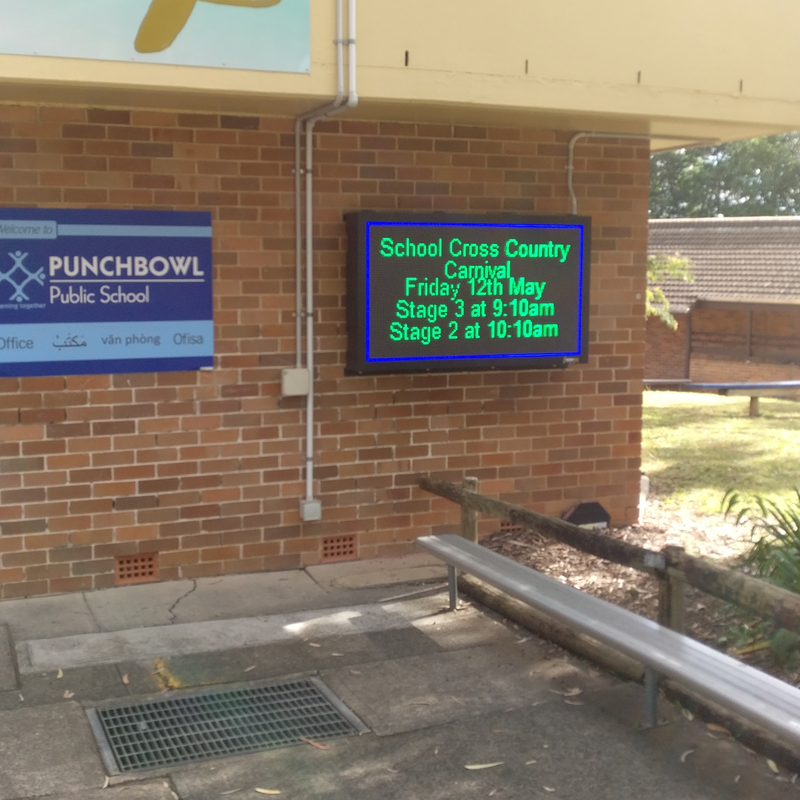 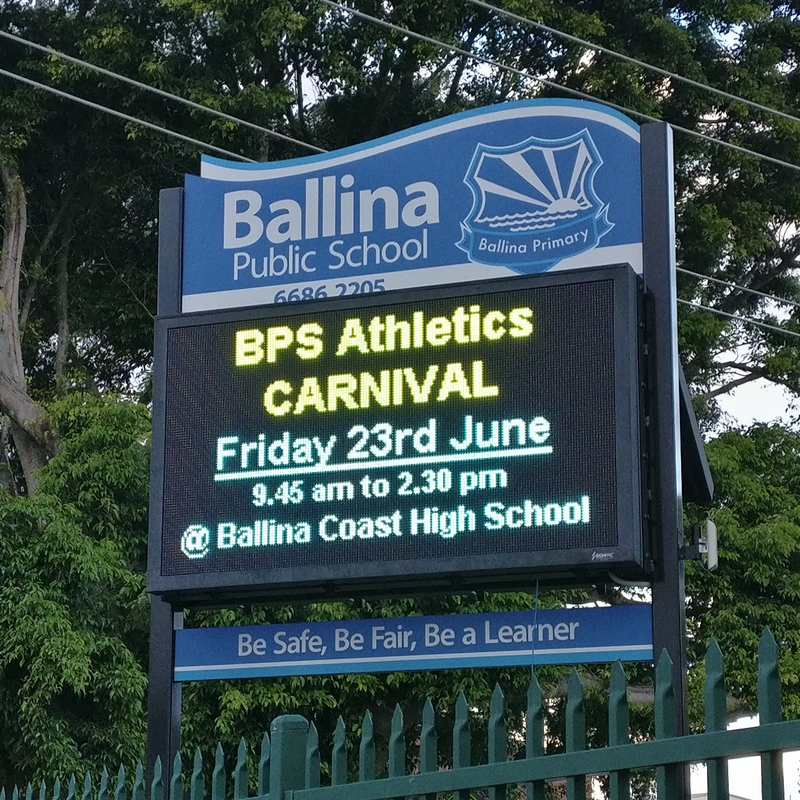 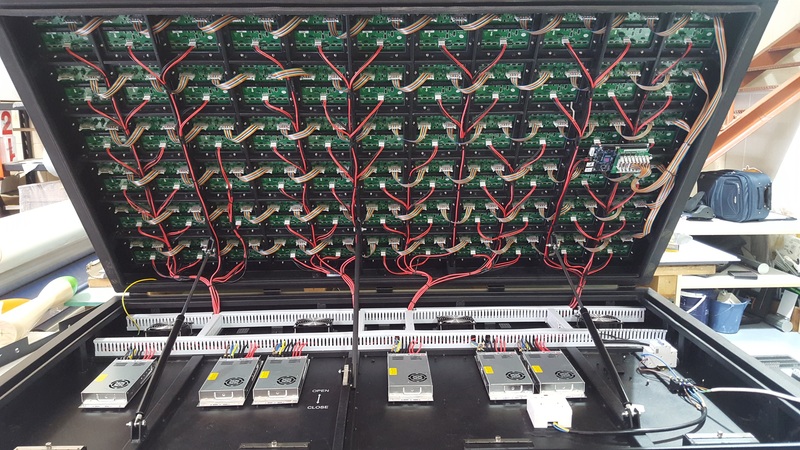 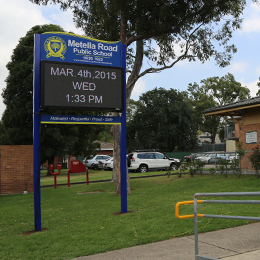 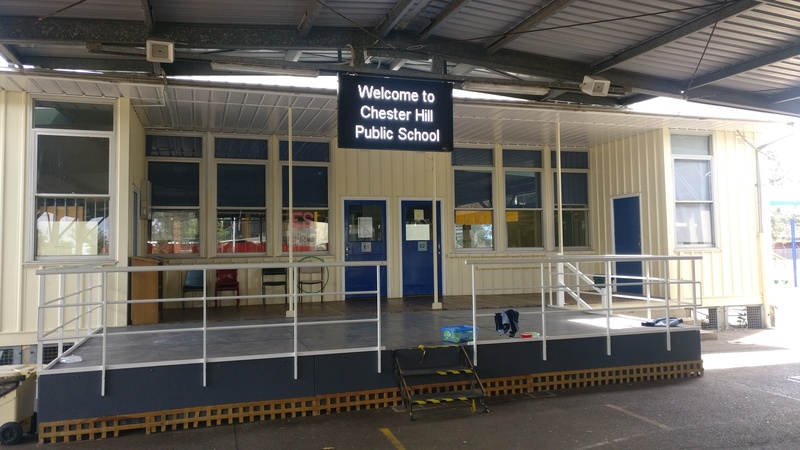 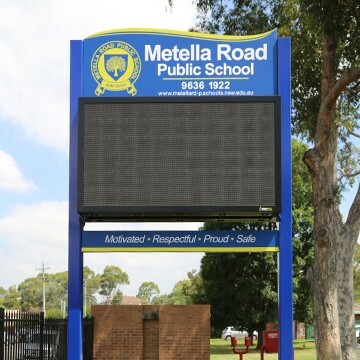 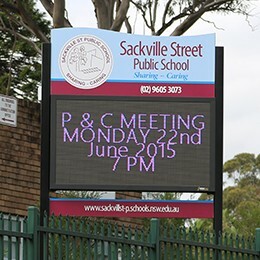 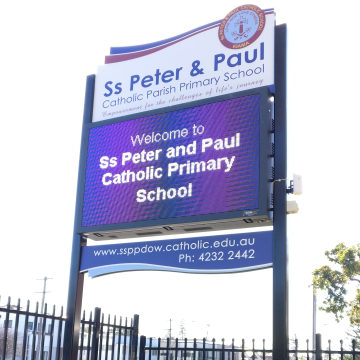 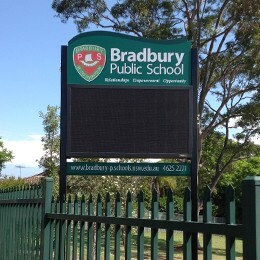 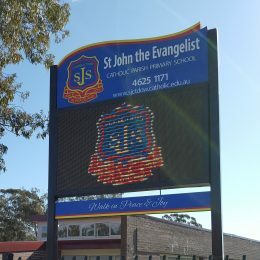 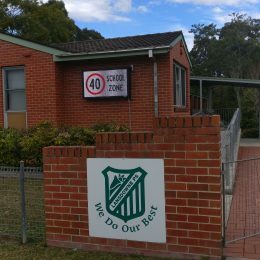 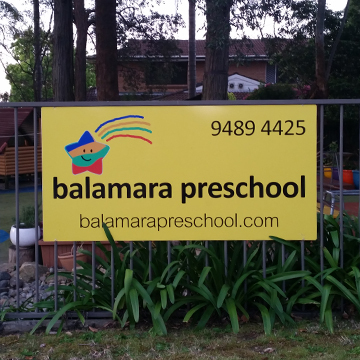 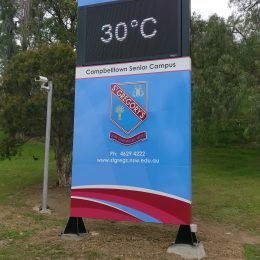 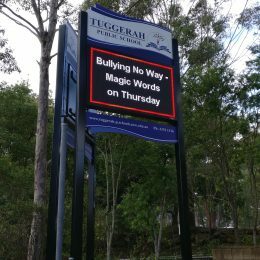 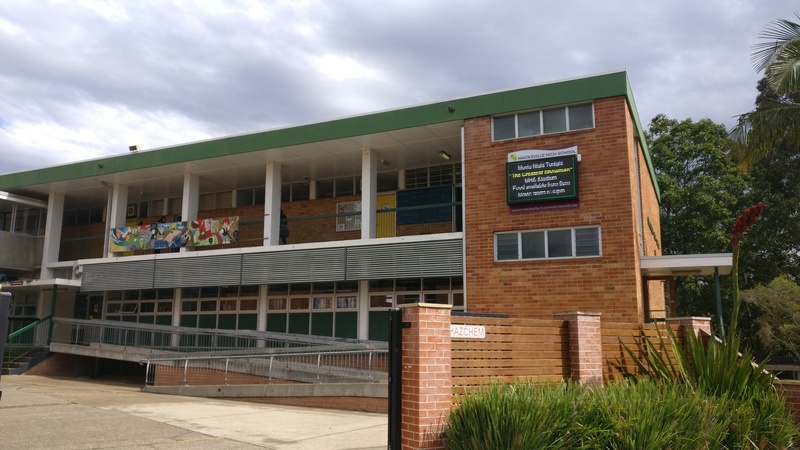 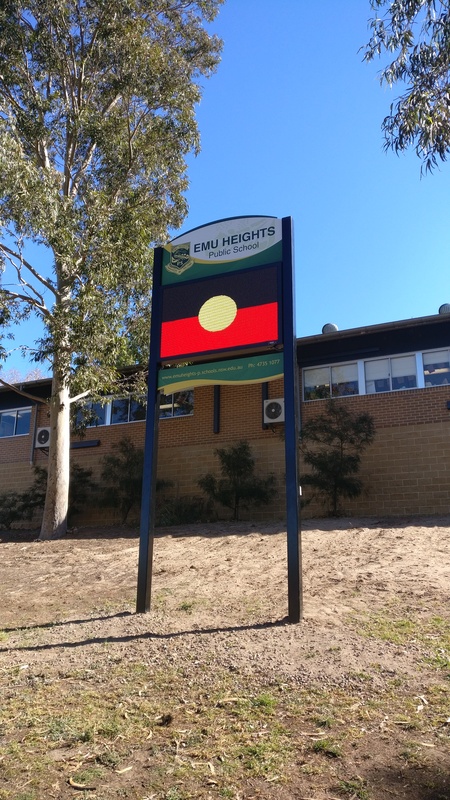 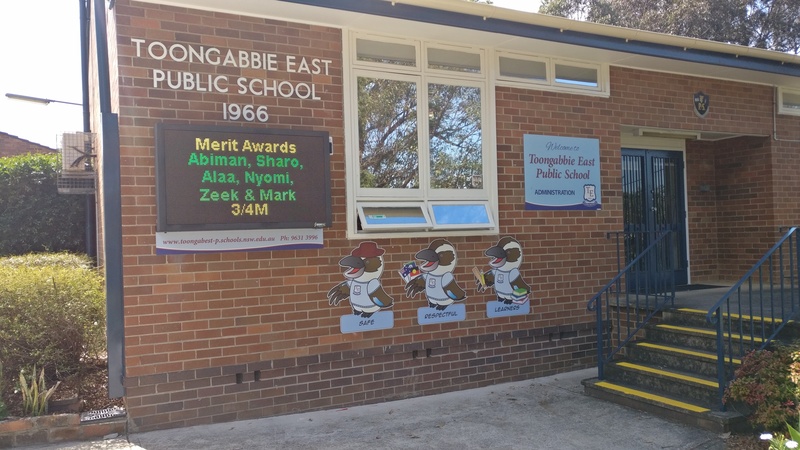 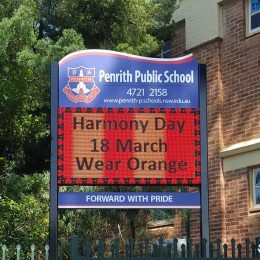 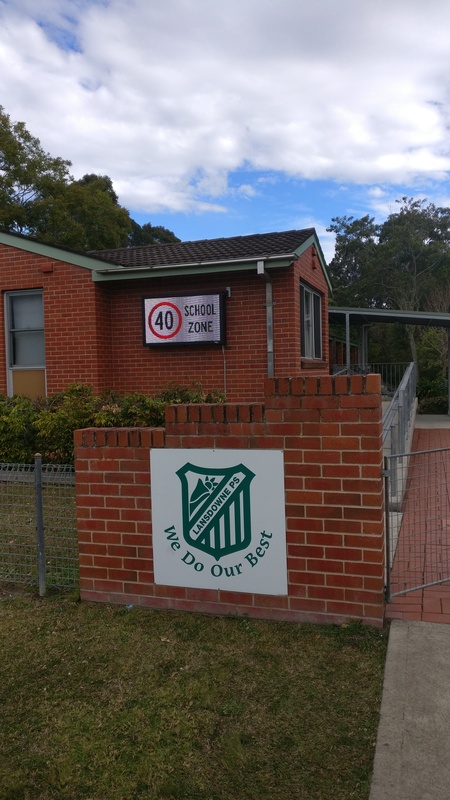 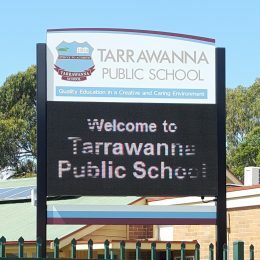 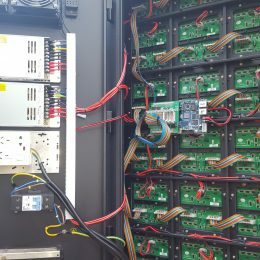 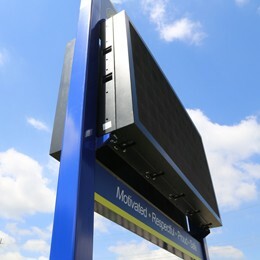 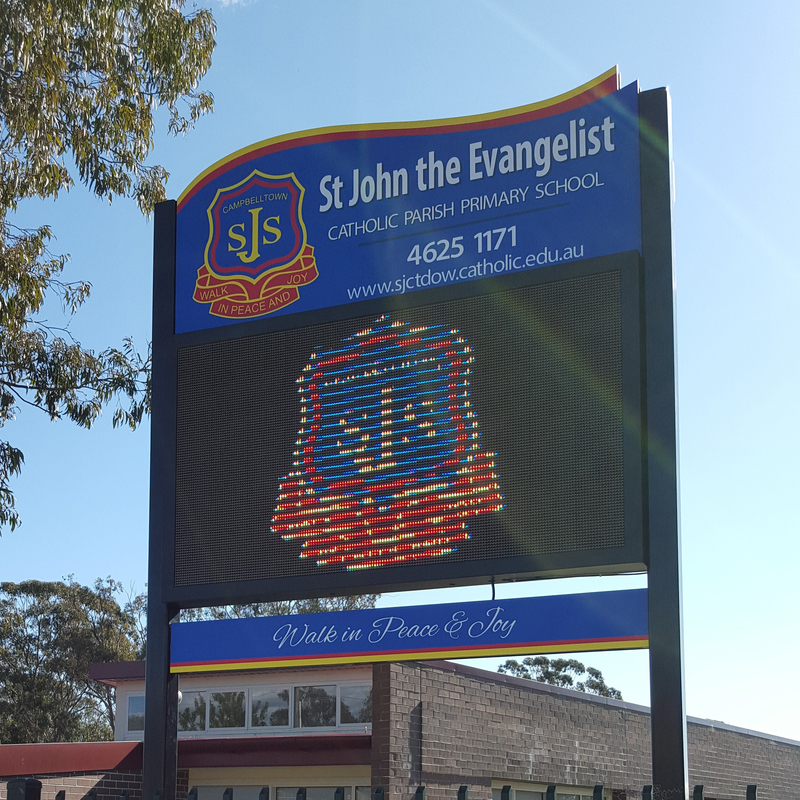 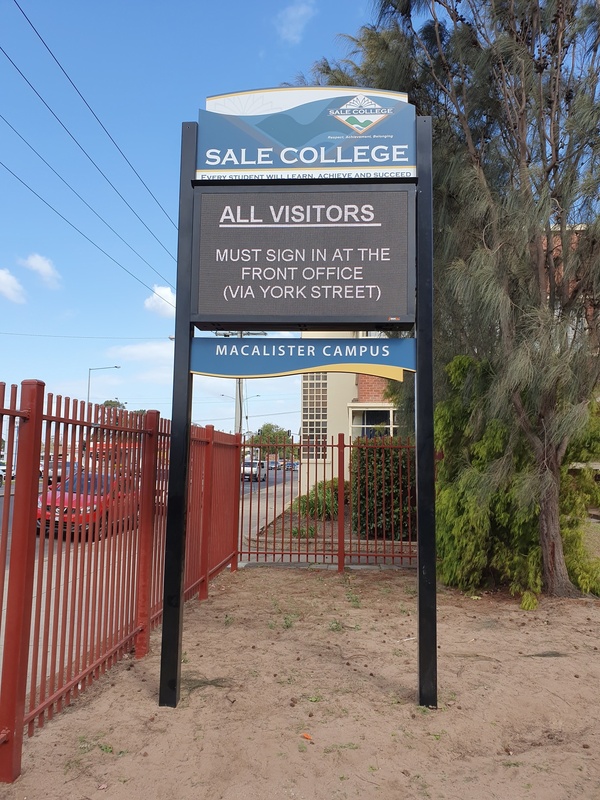 Signpac’s Digital LED sign technology has full colour photo and video capability or text in a rainbow of colour choices all controlled by easy to use software over your school’s Wi-Fi connection or direct data connection. 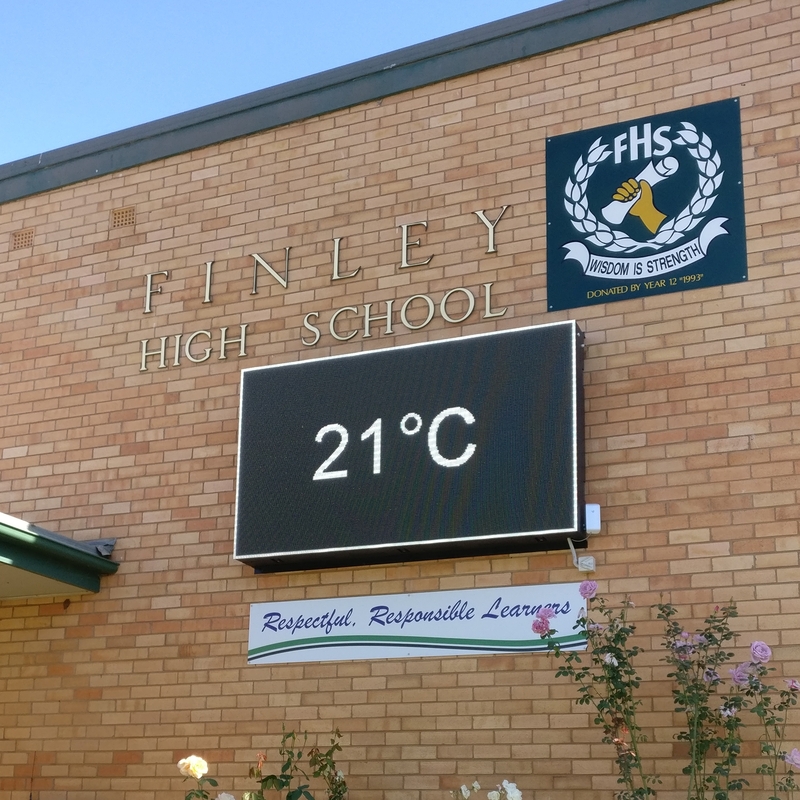 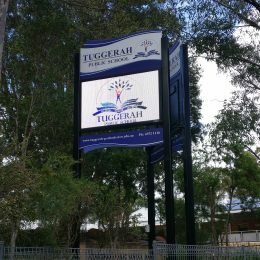 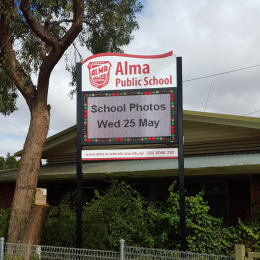 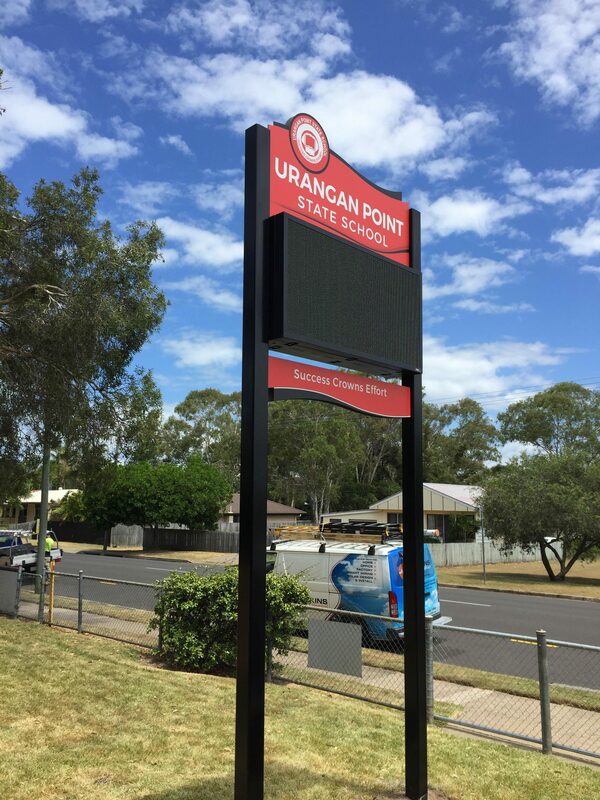 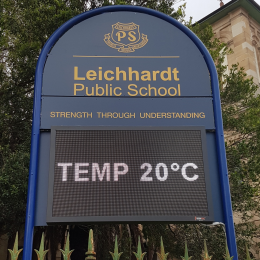 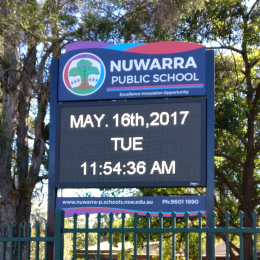 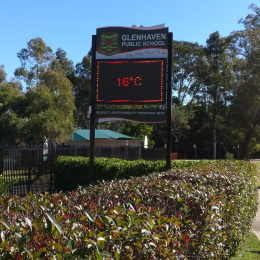 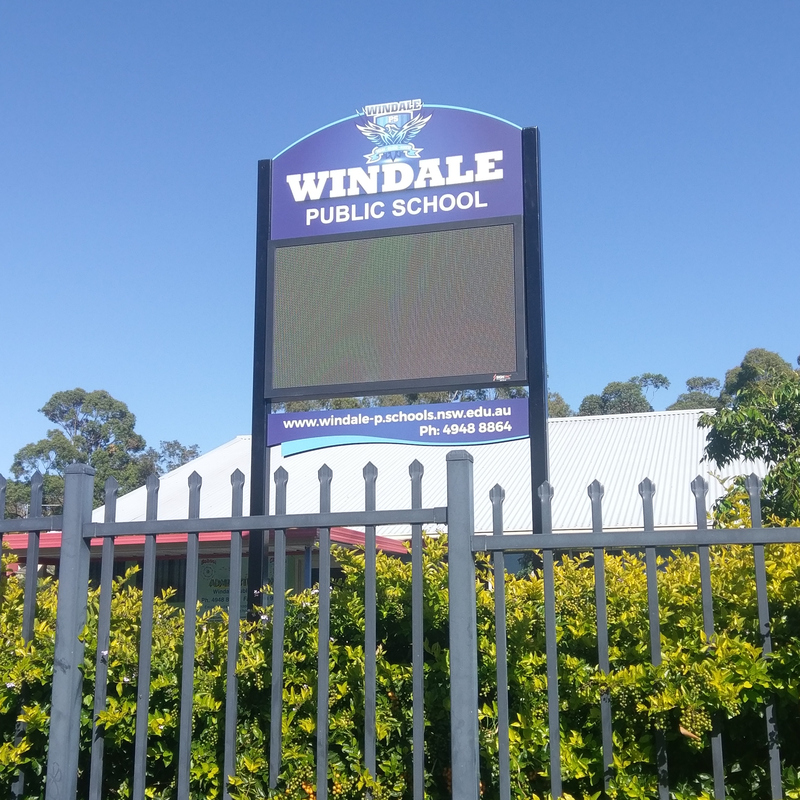 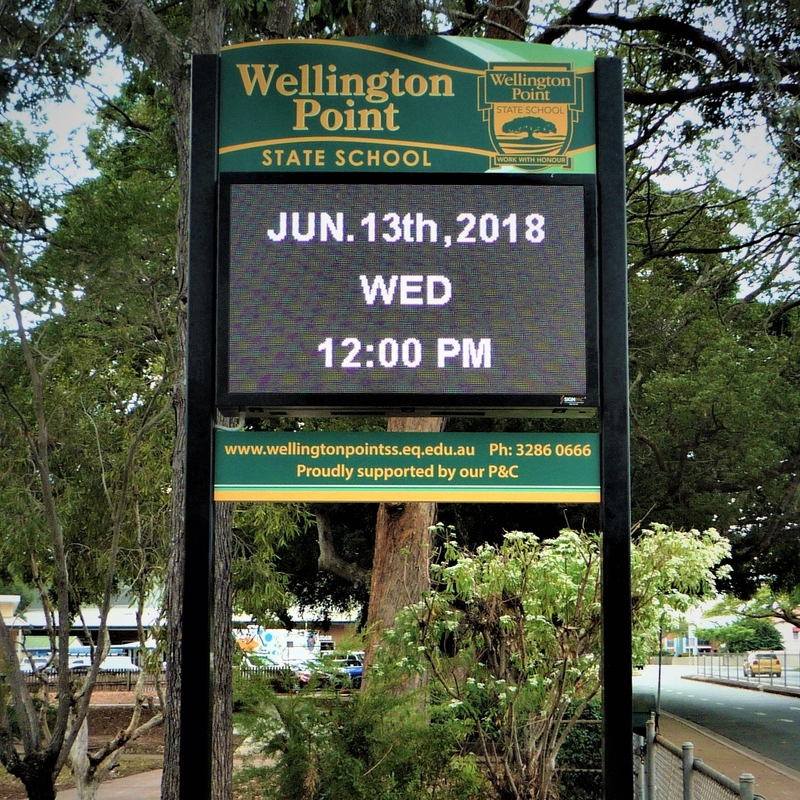 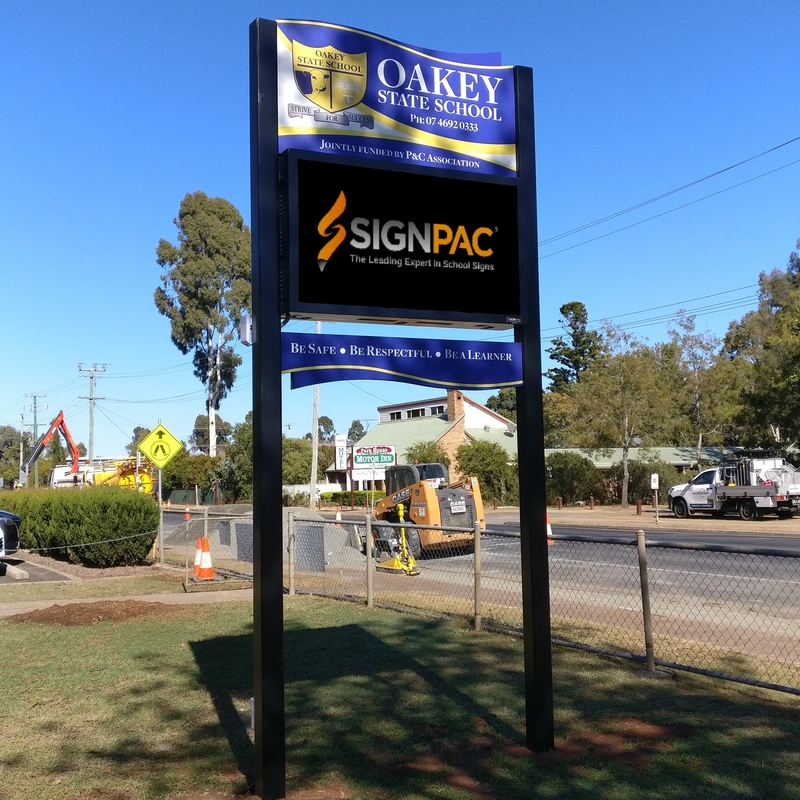 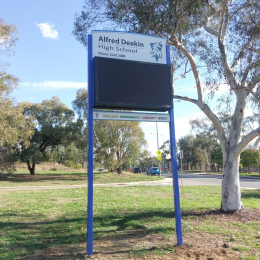 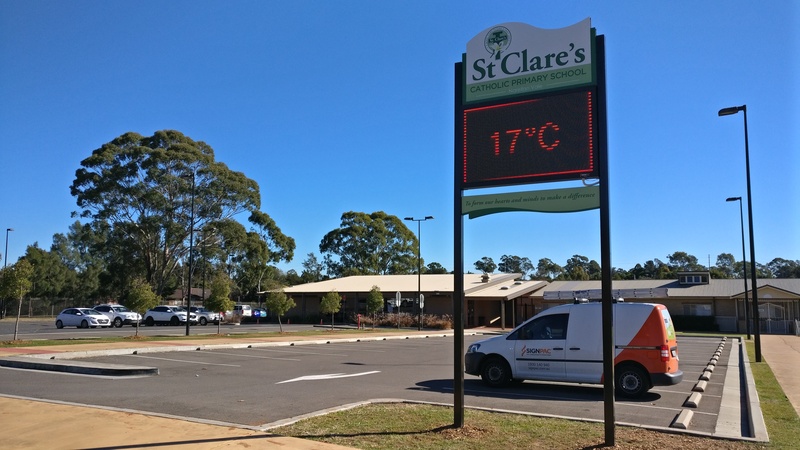 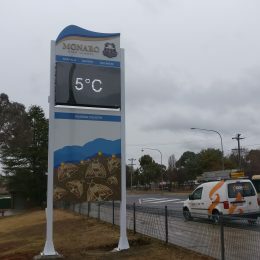 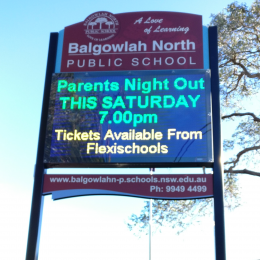 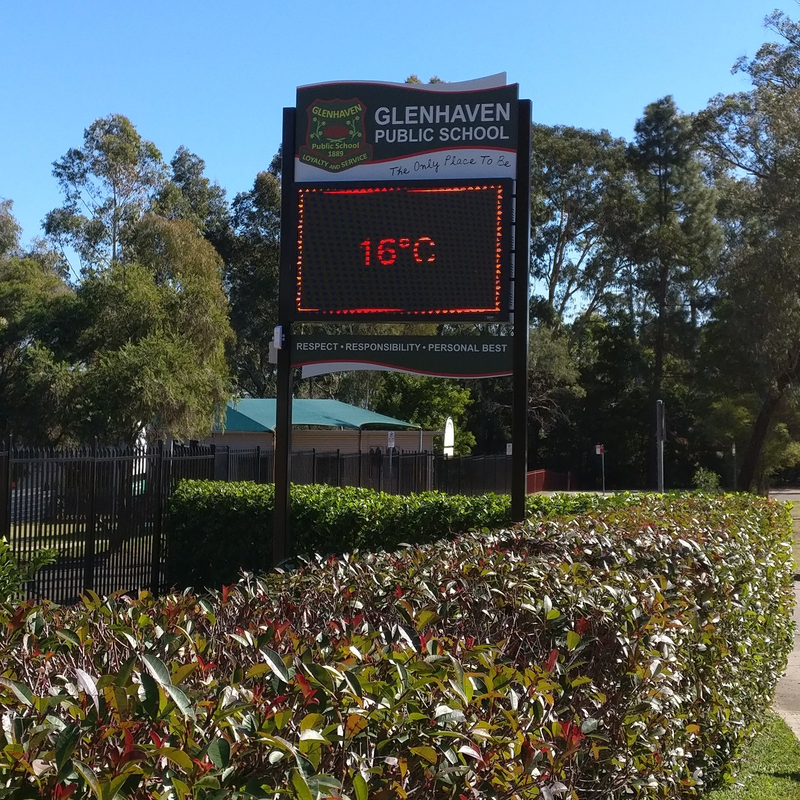 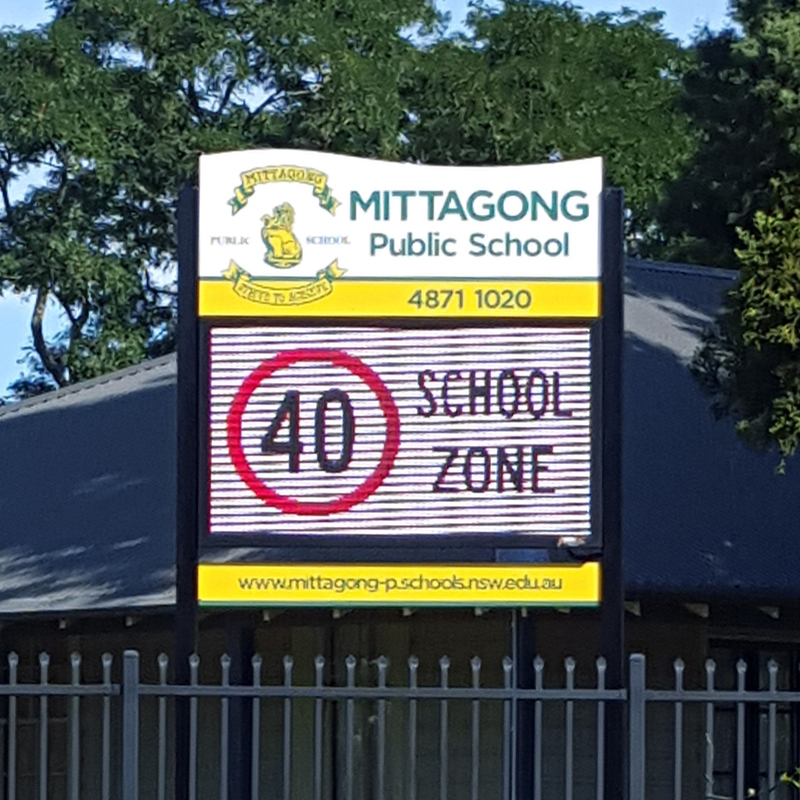 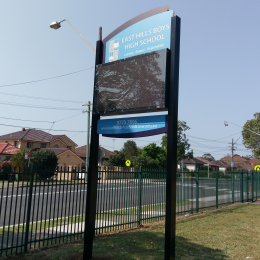 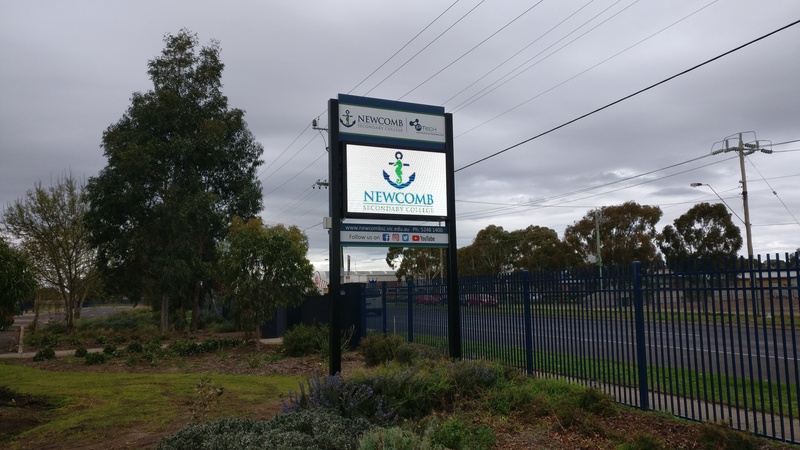 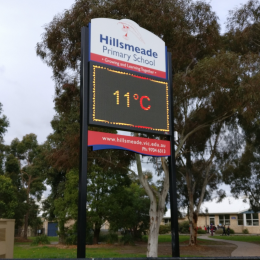 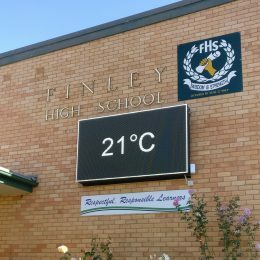 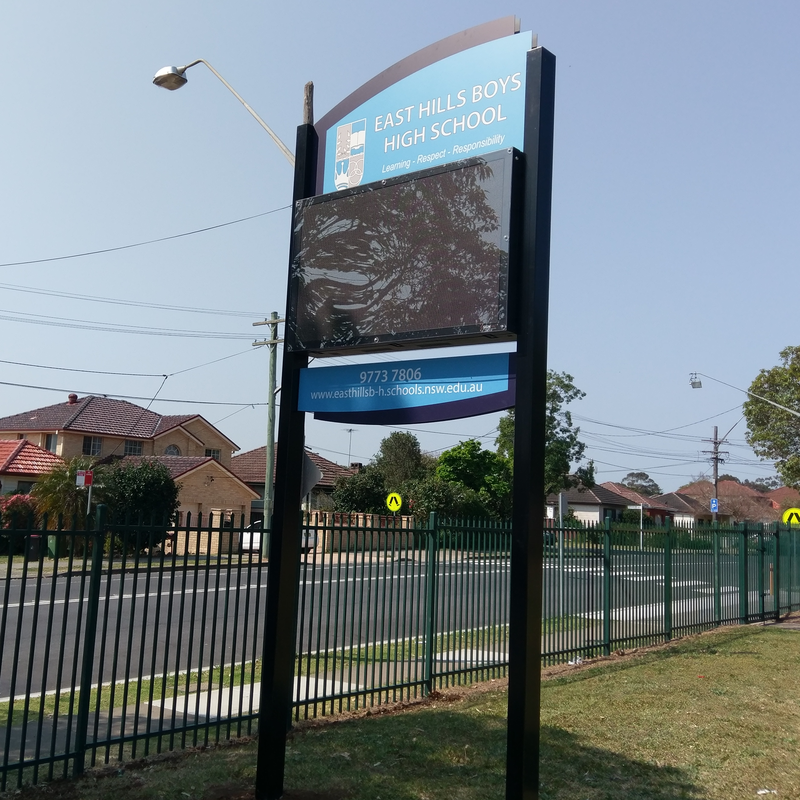 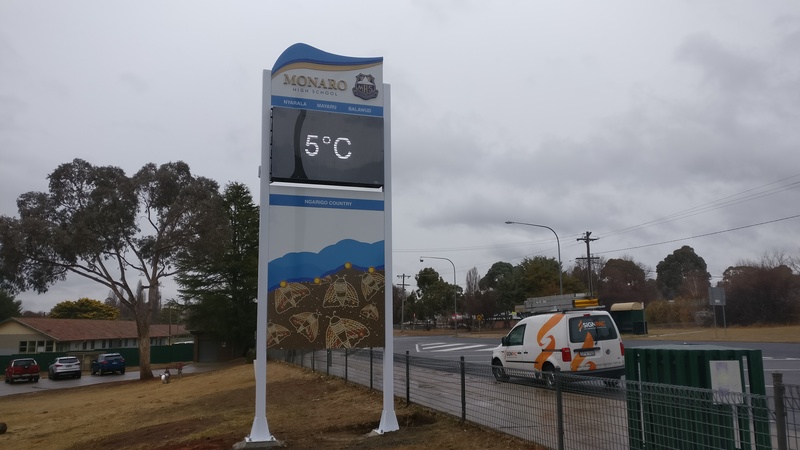 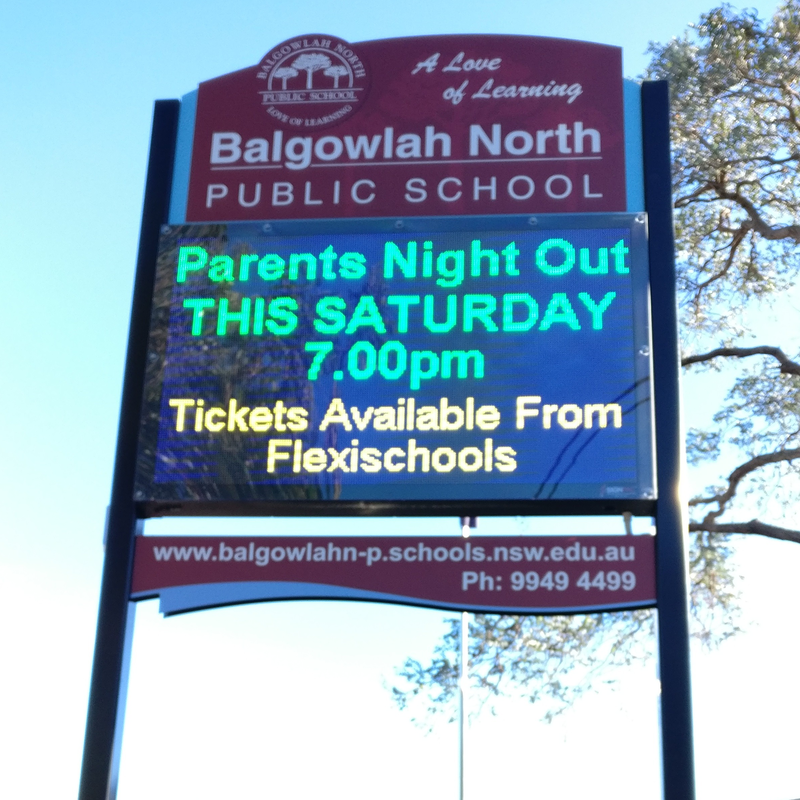 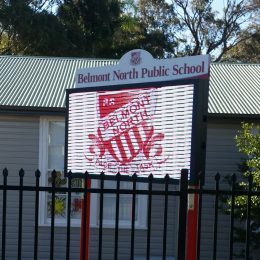 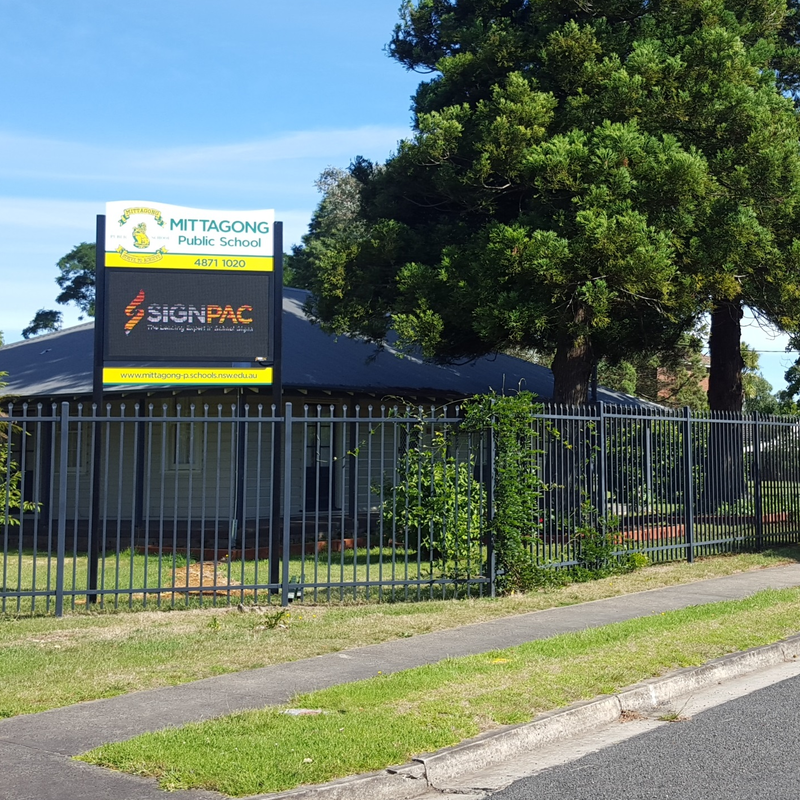 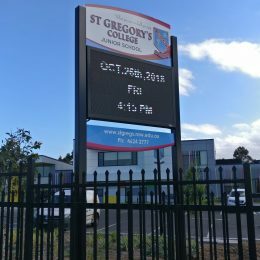 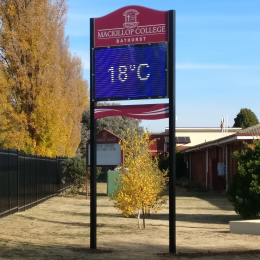 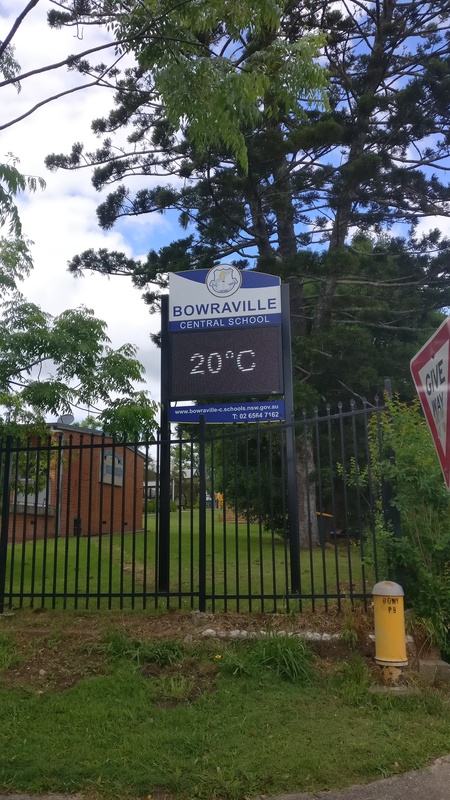 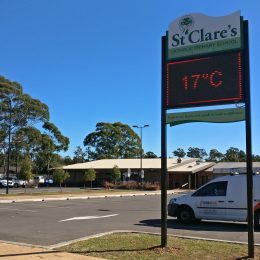 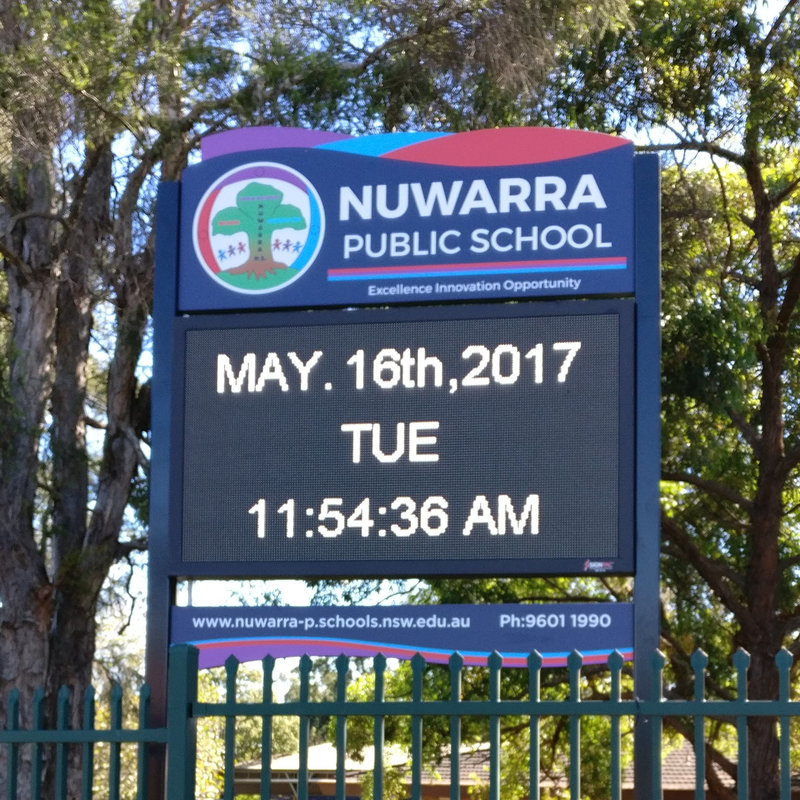 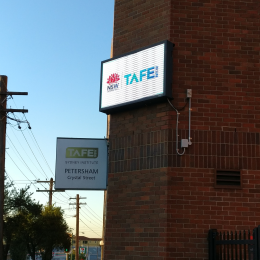 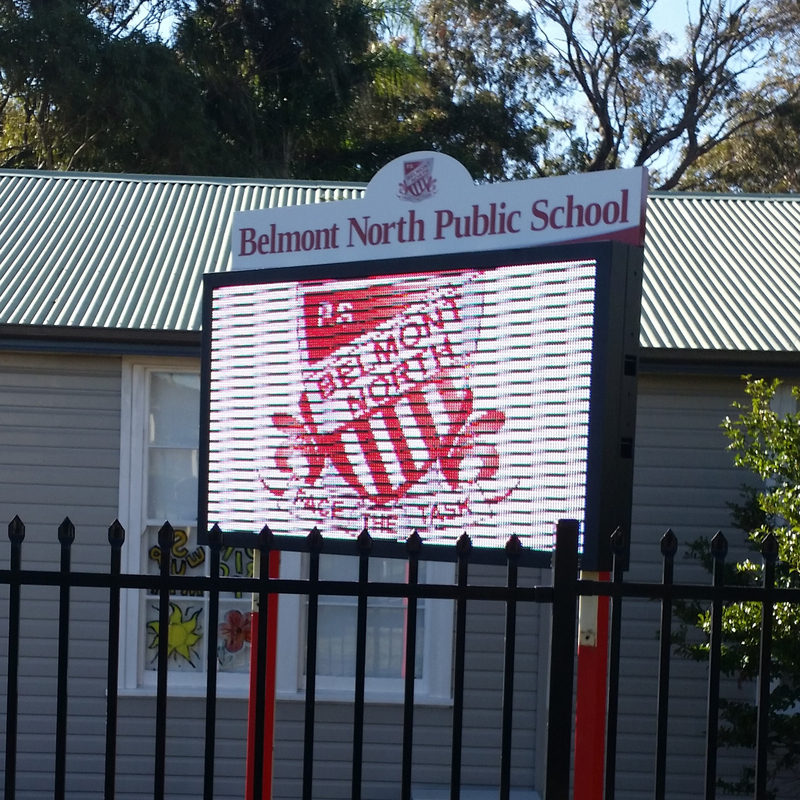 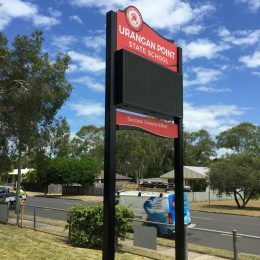 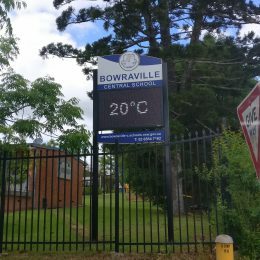 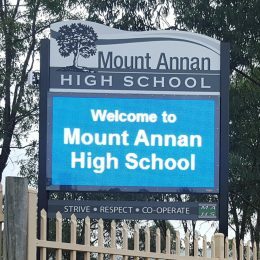 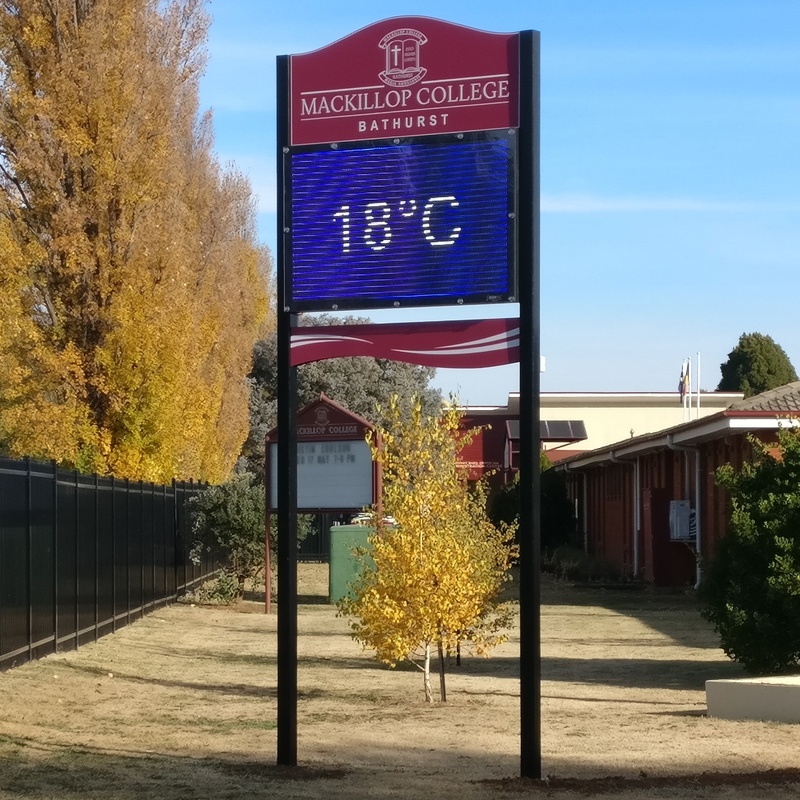 Order your brand new, all weather, and high-visibility digital sign today or speak with a Signpac signage expert about retrofitting digital signs into your school’s existing frame signs. 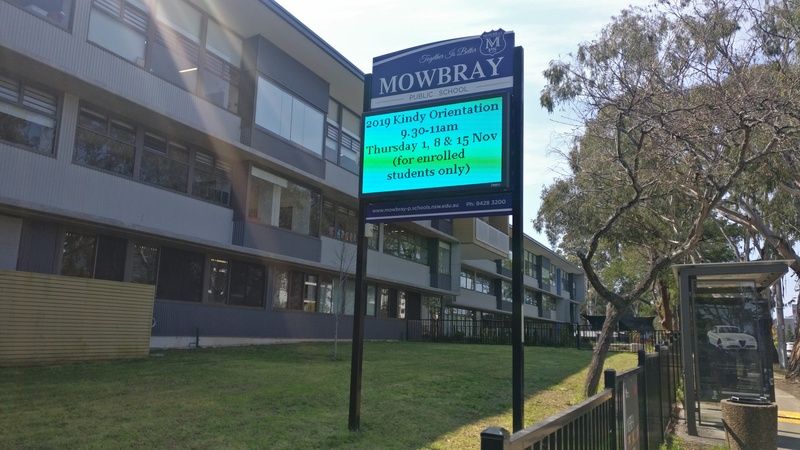 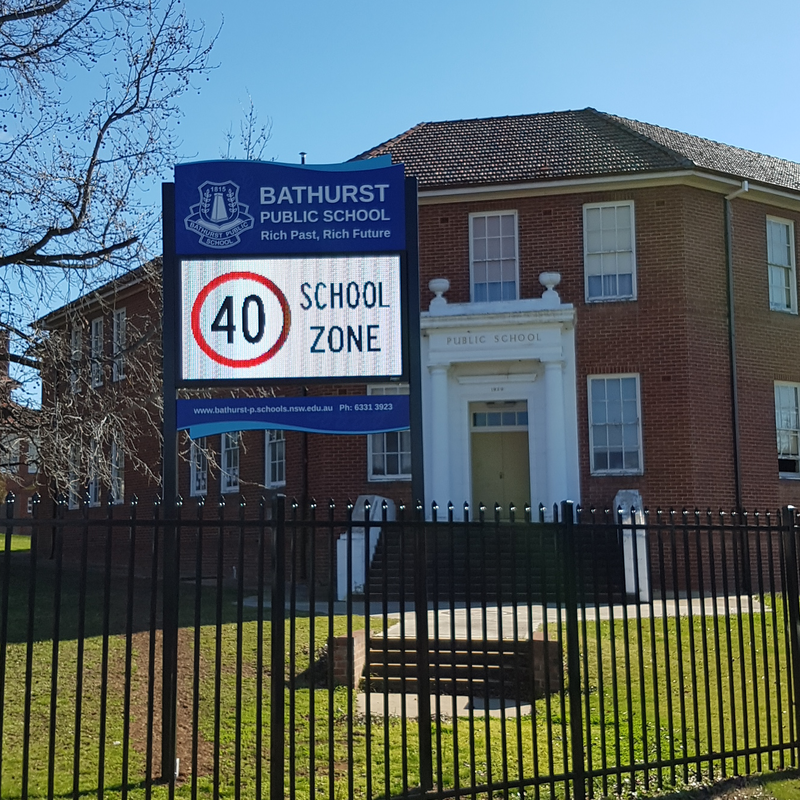 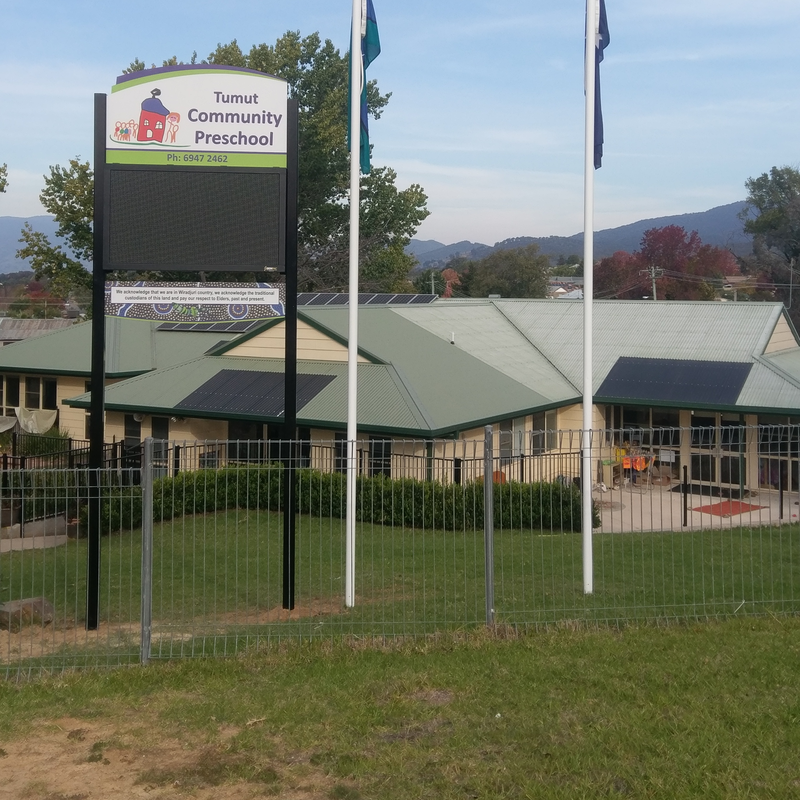 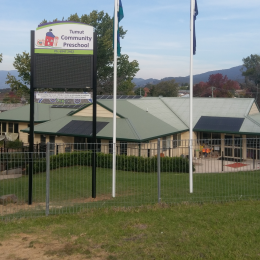 Our digital signs come with a two-year warranty and are a surprisingly affordable way to modernise your school with technology that appeals to current and future school enrolments.